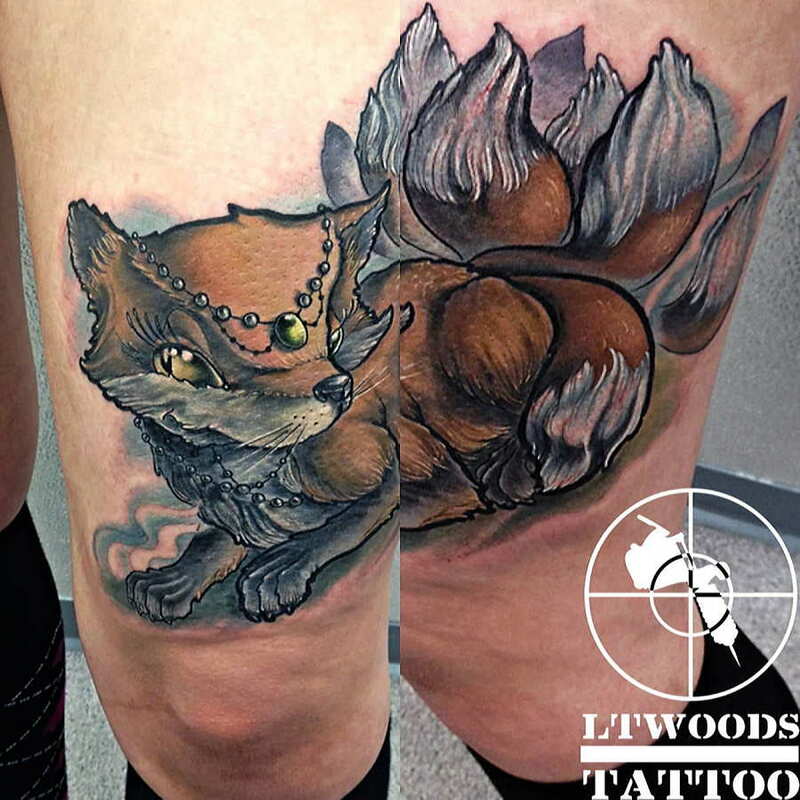 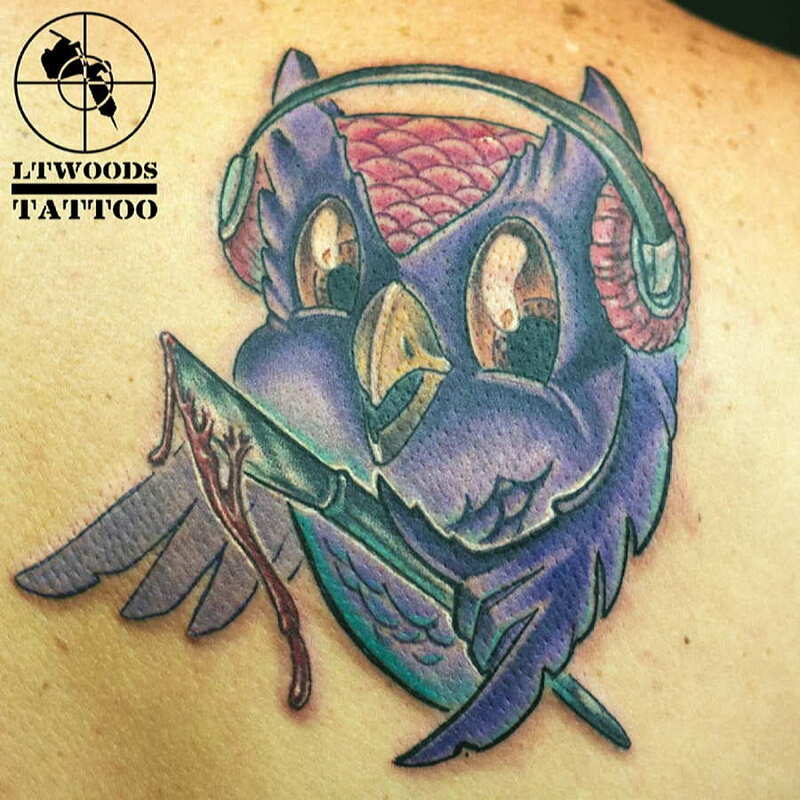 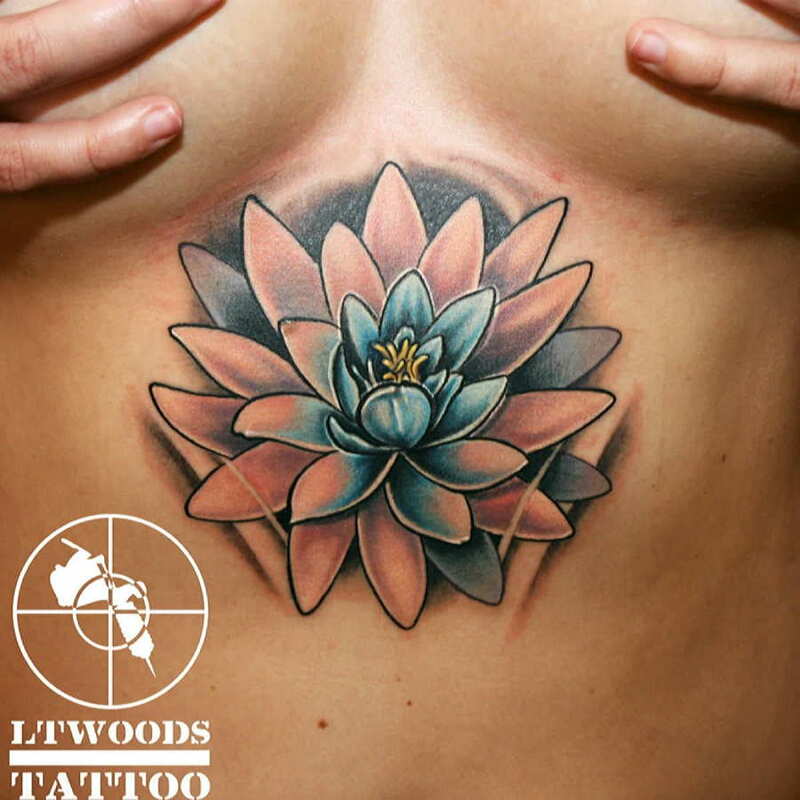 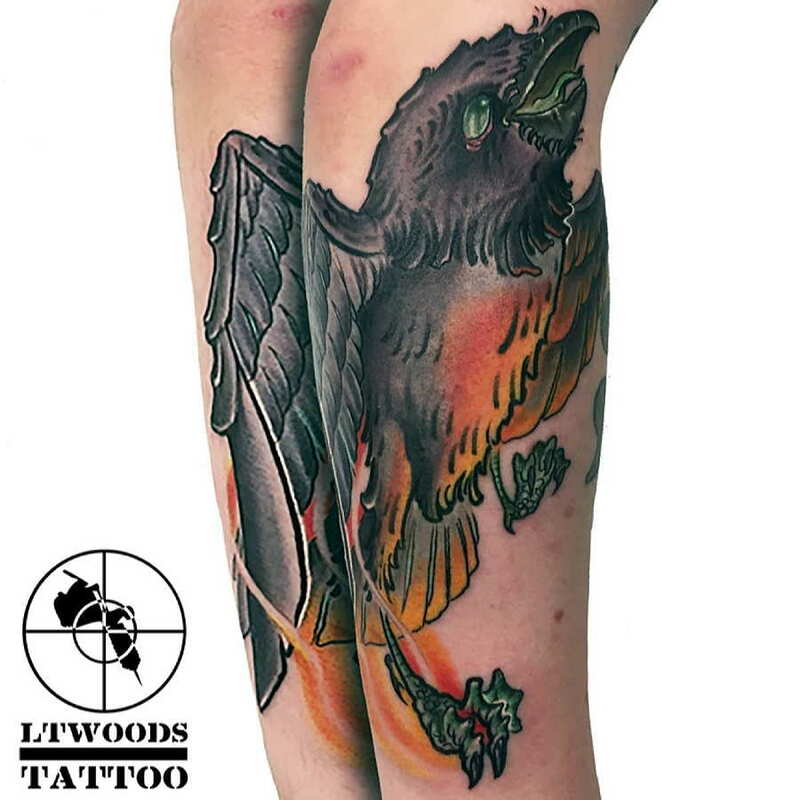 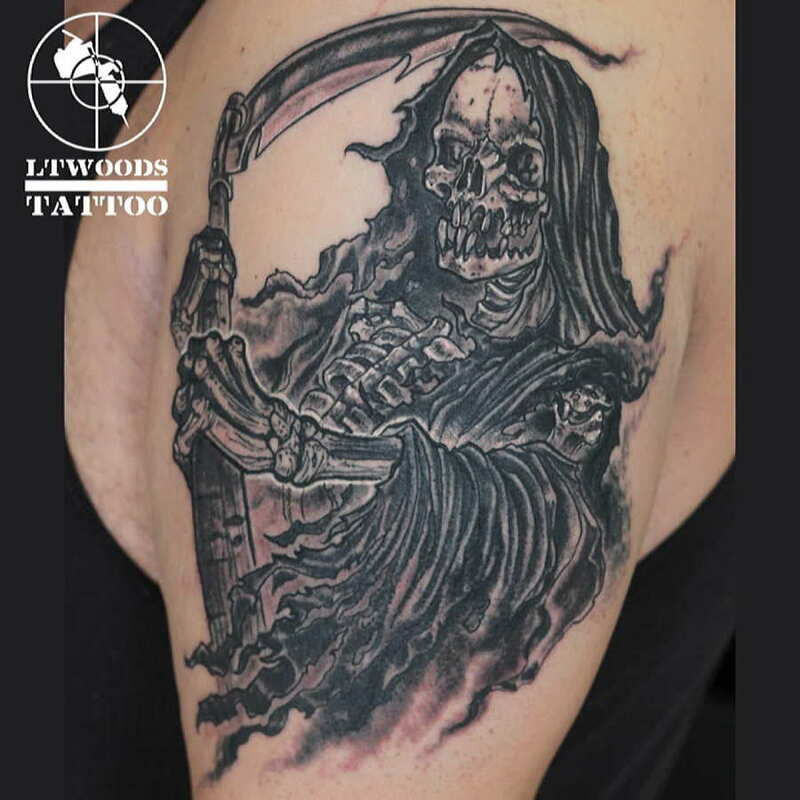 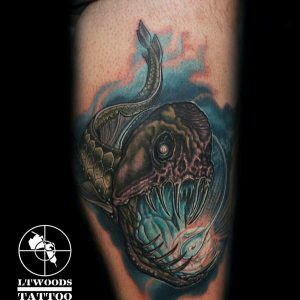 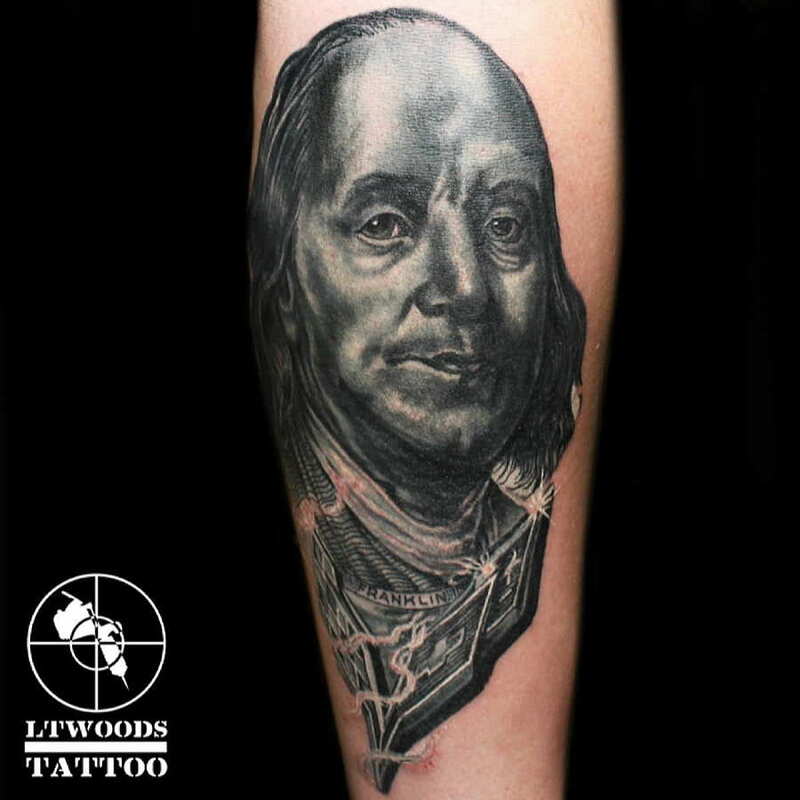 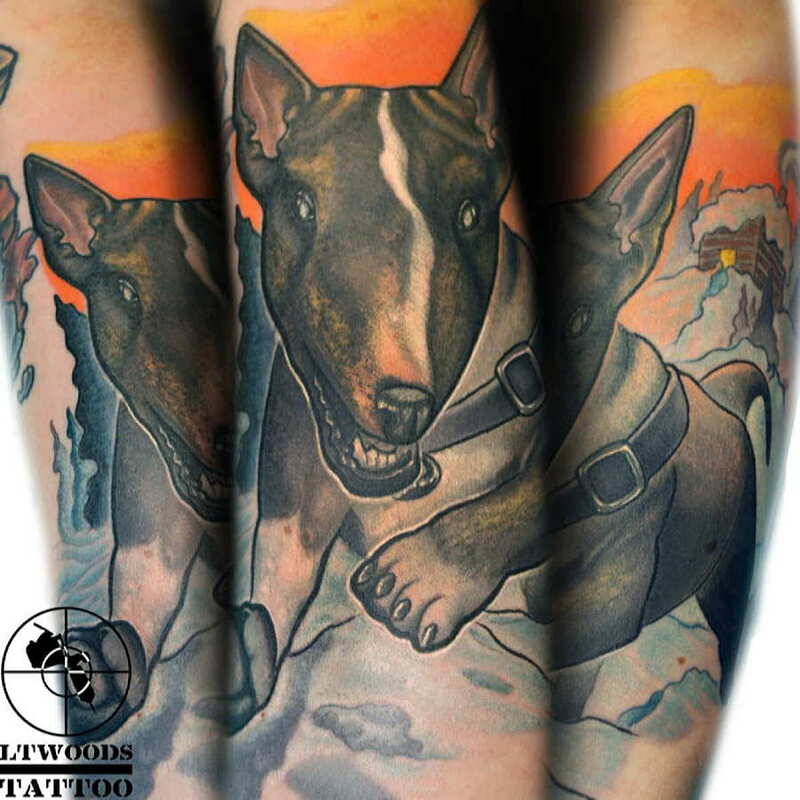 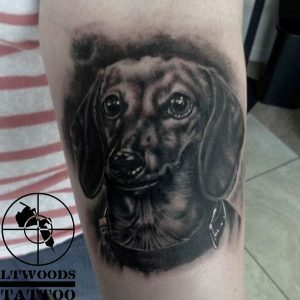 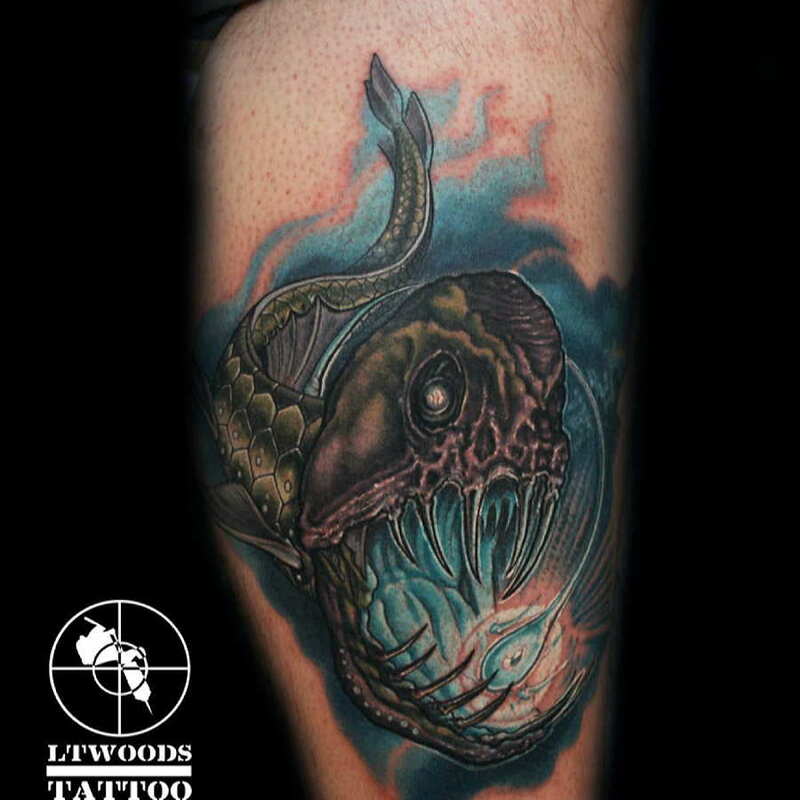 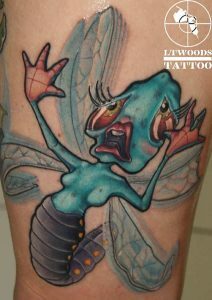 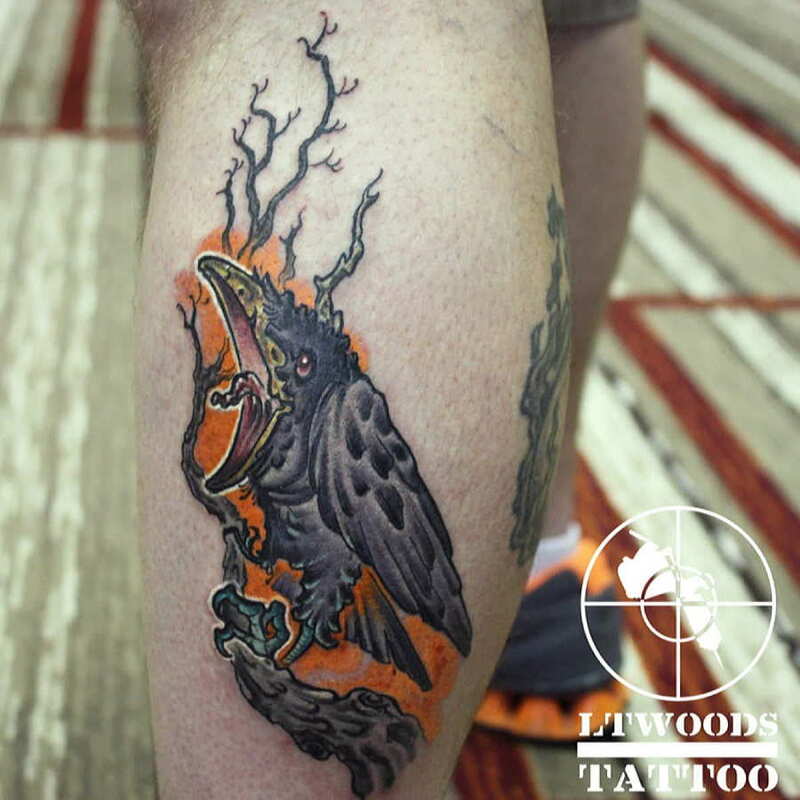 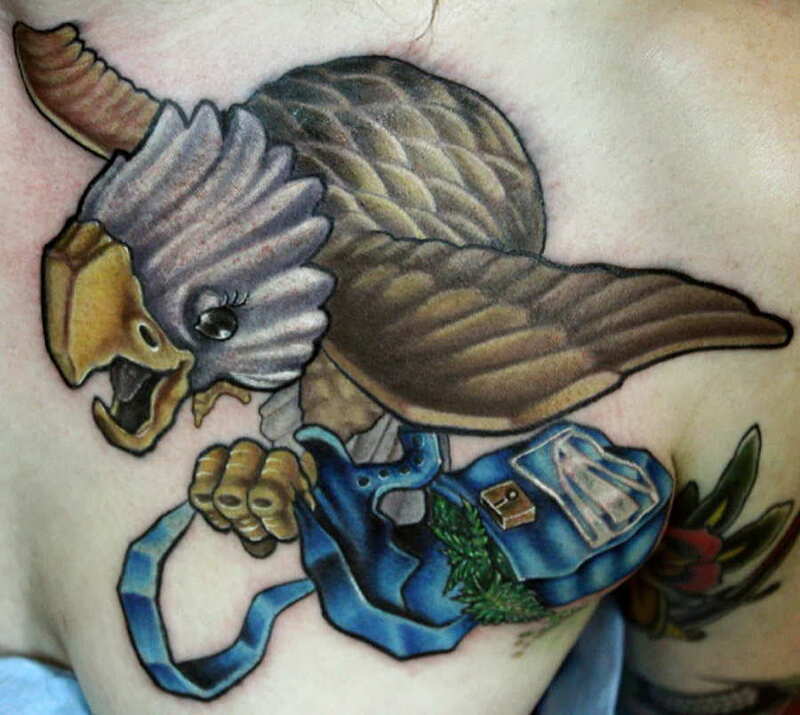 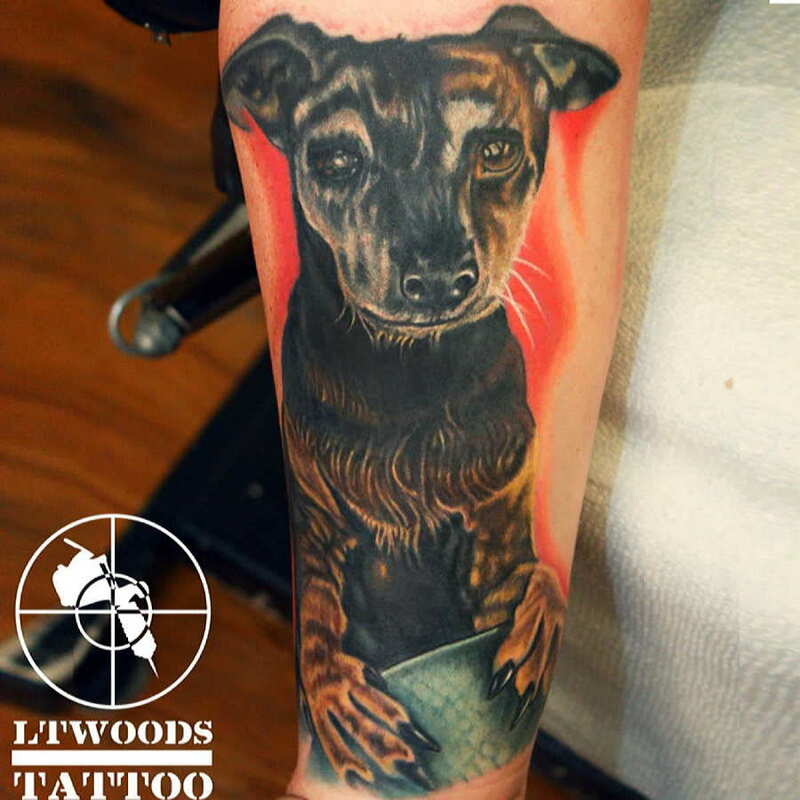 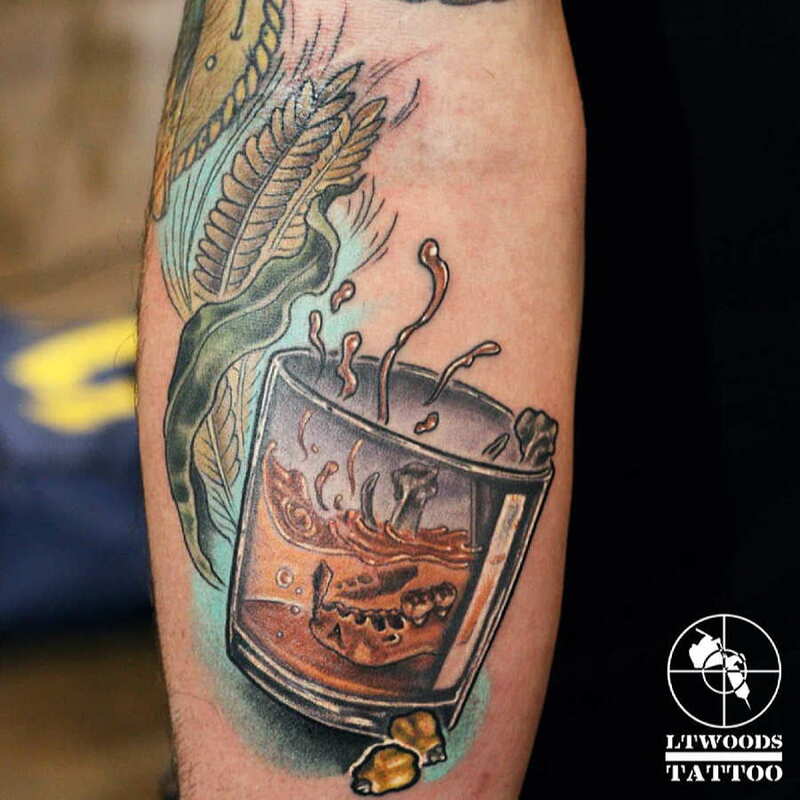 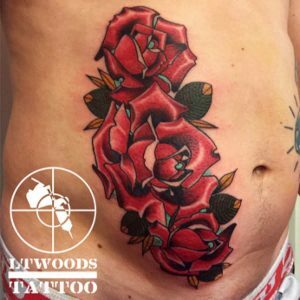 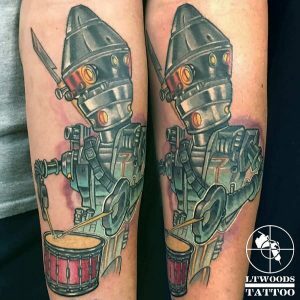 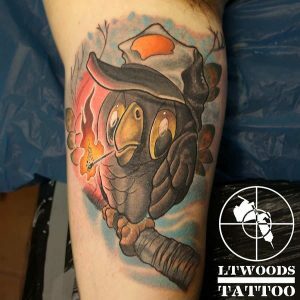 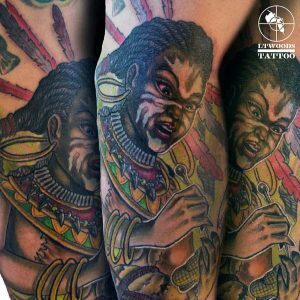 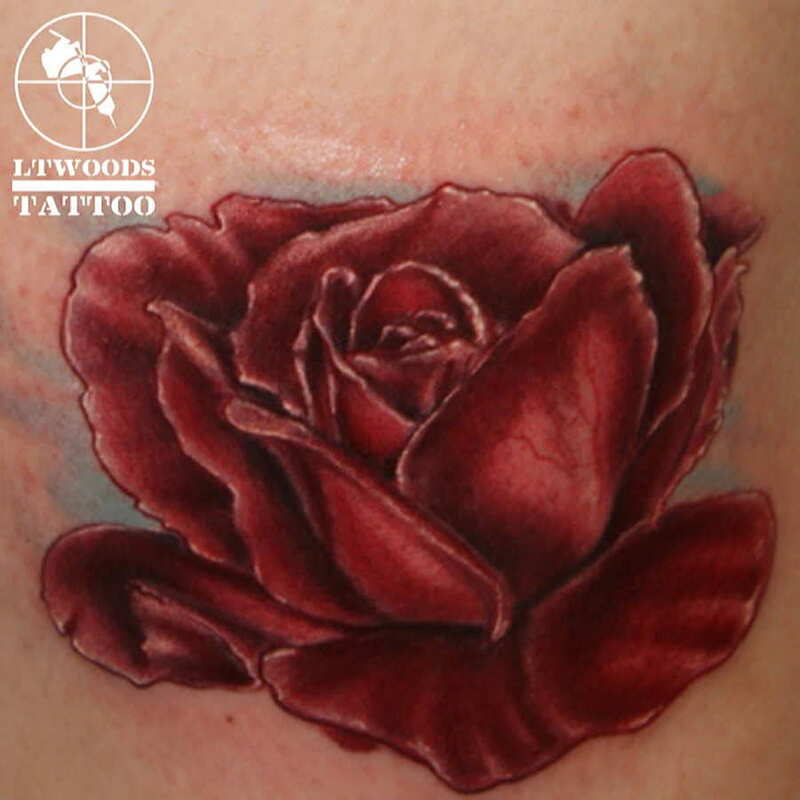 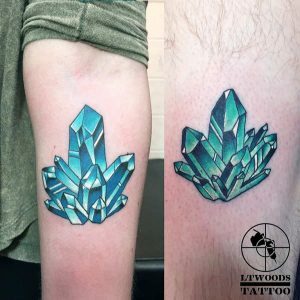 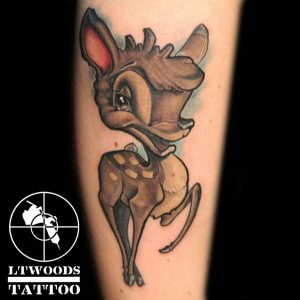 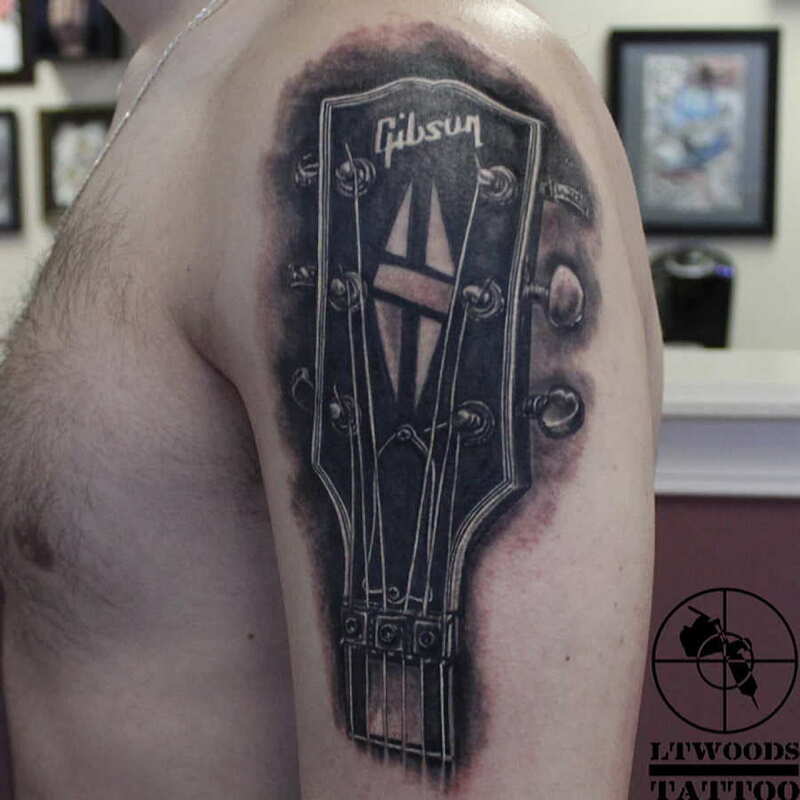 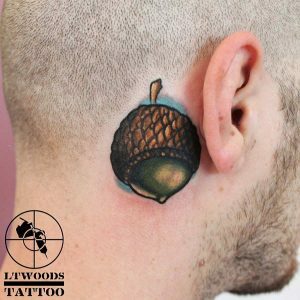 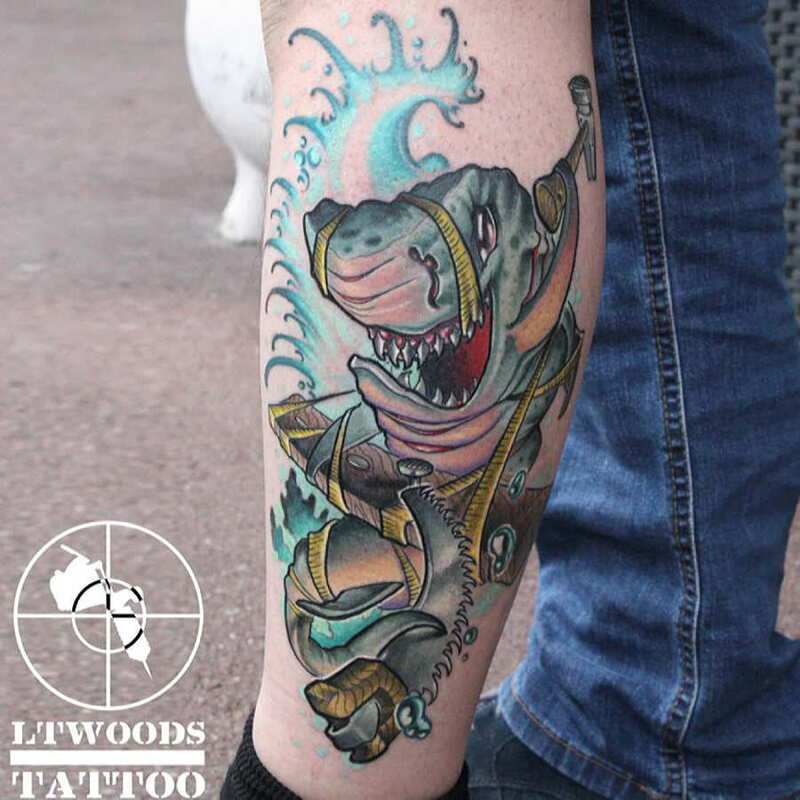 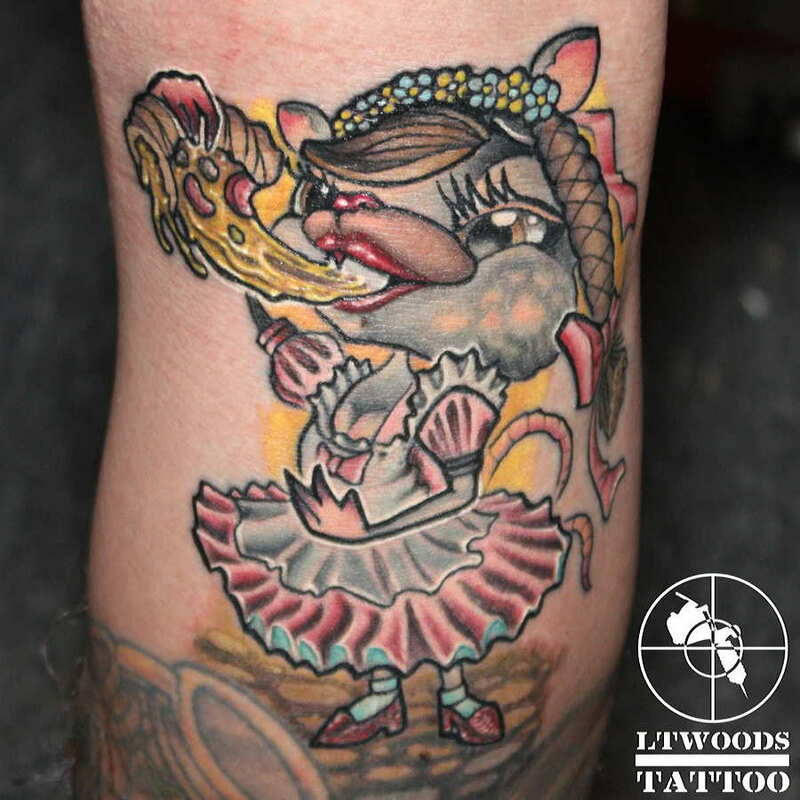 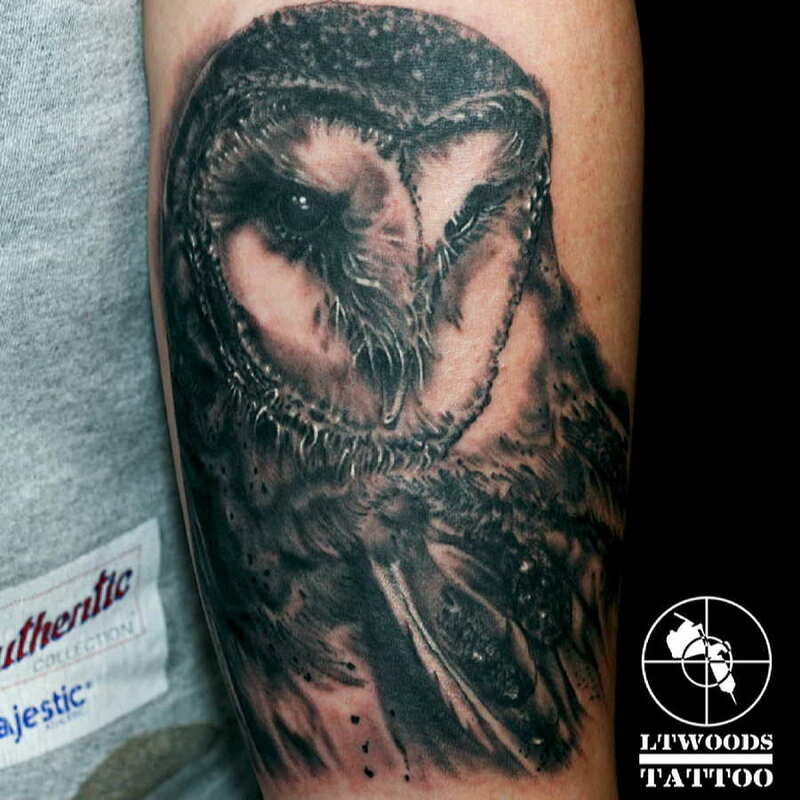 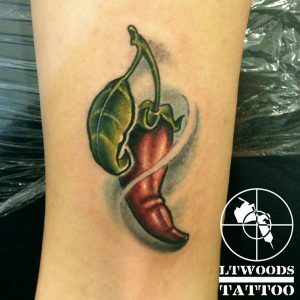 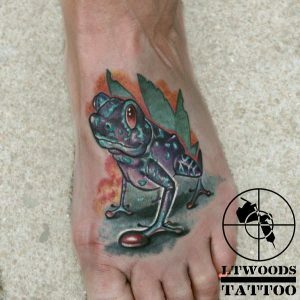 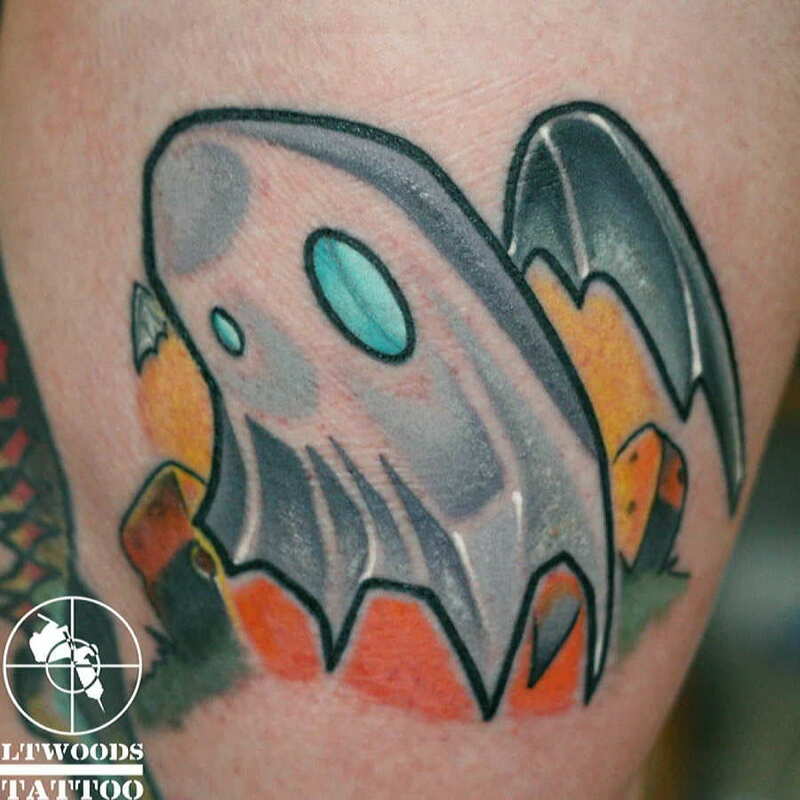 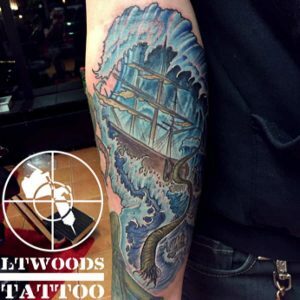 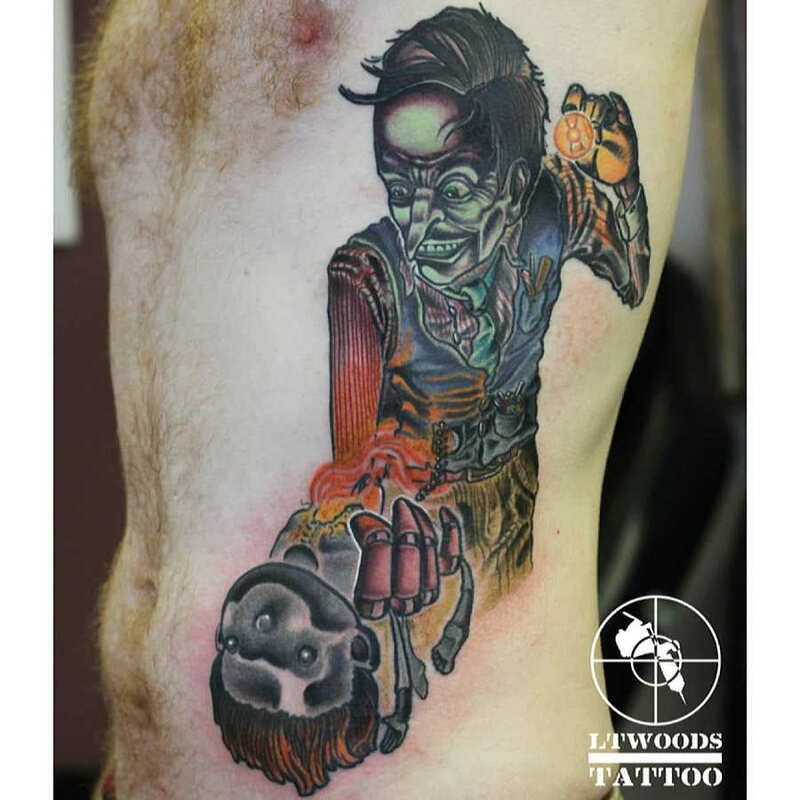 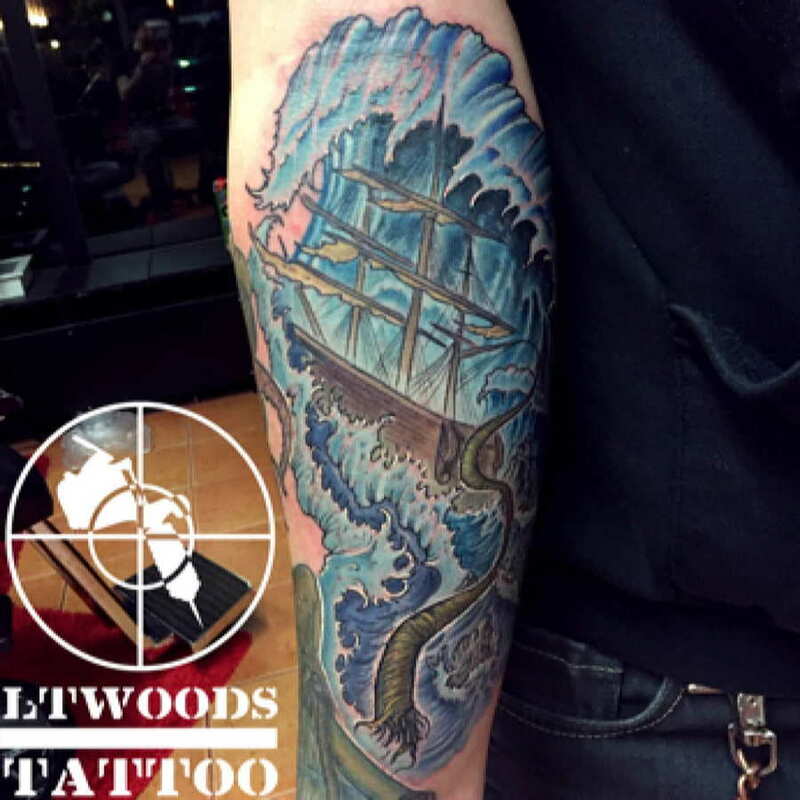 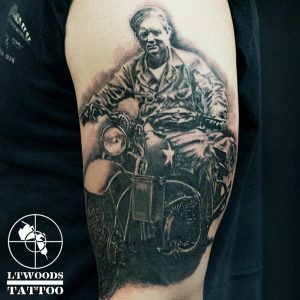 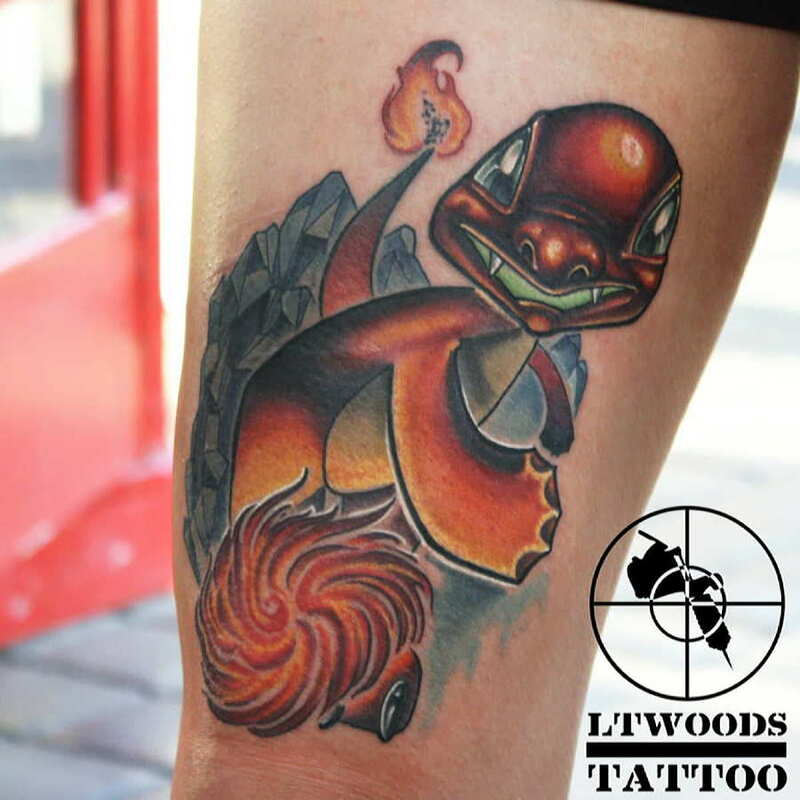 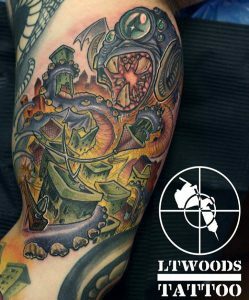 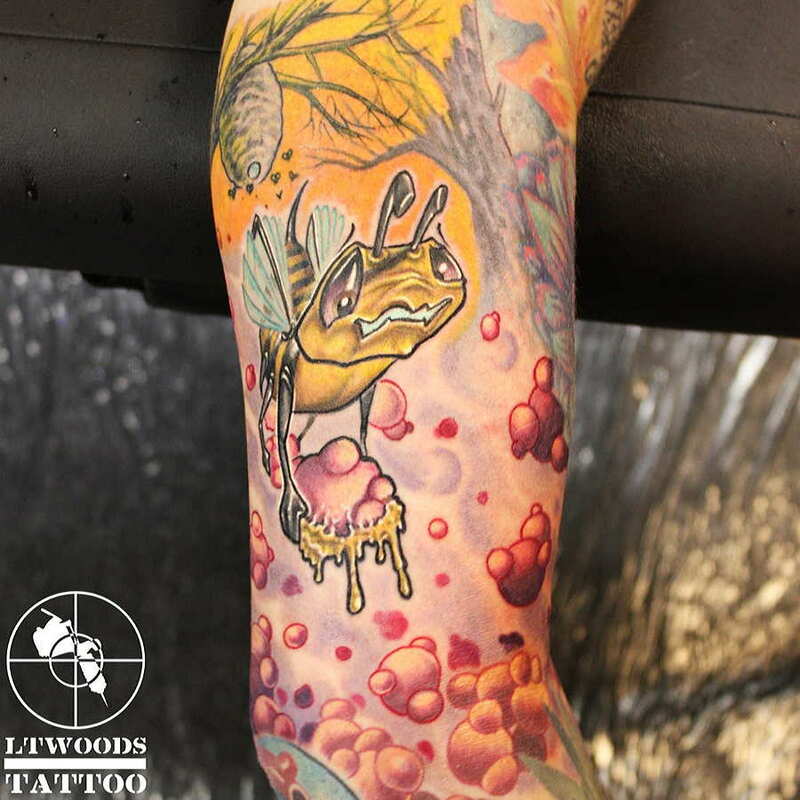 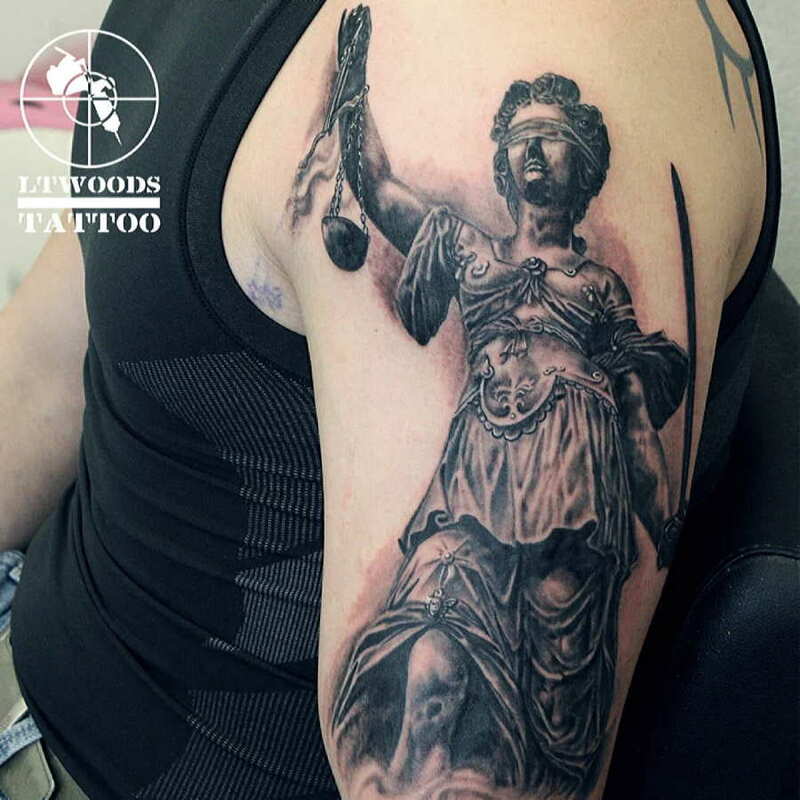 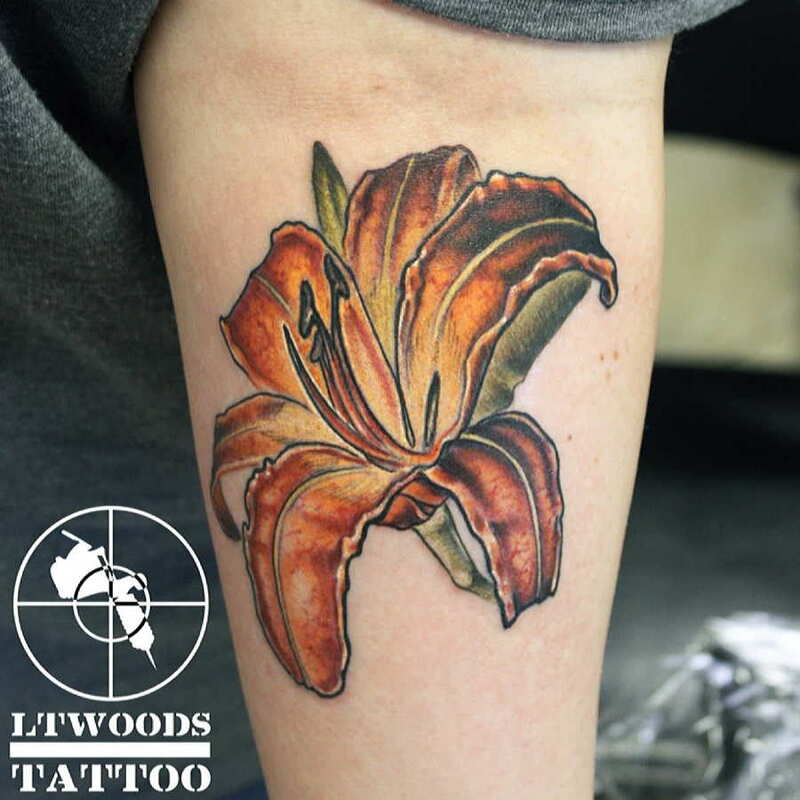 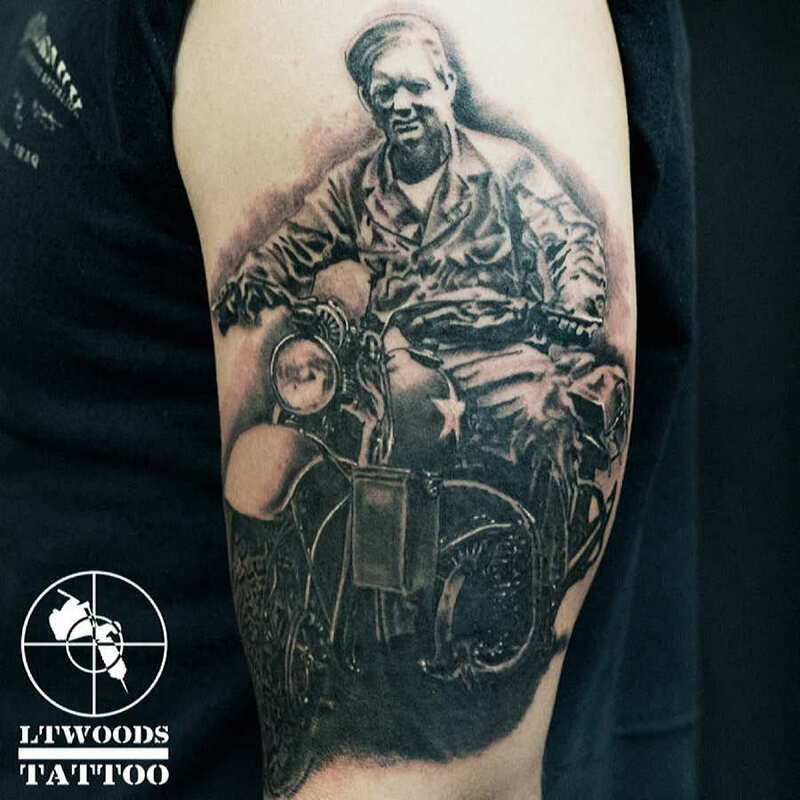 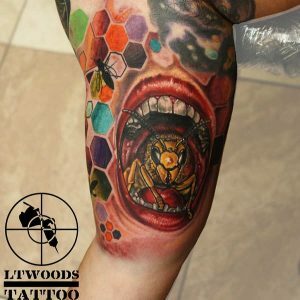 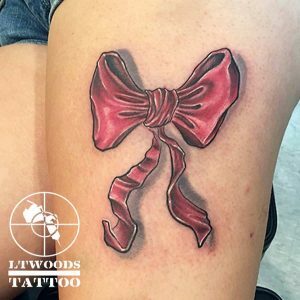 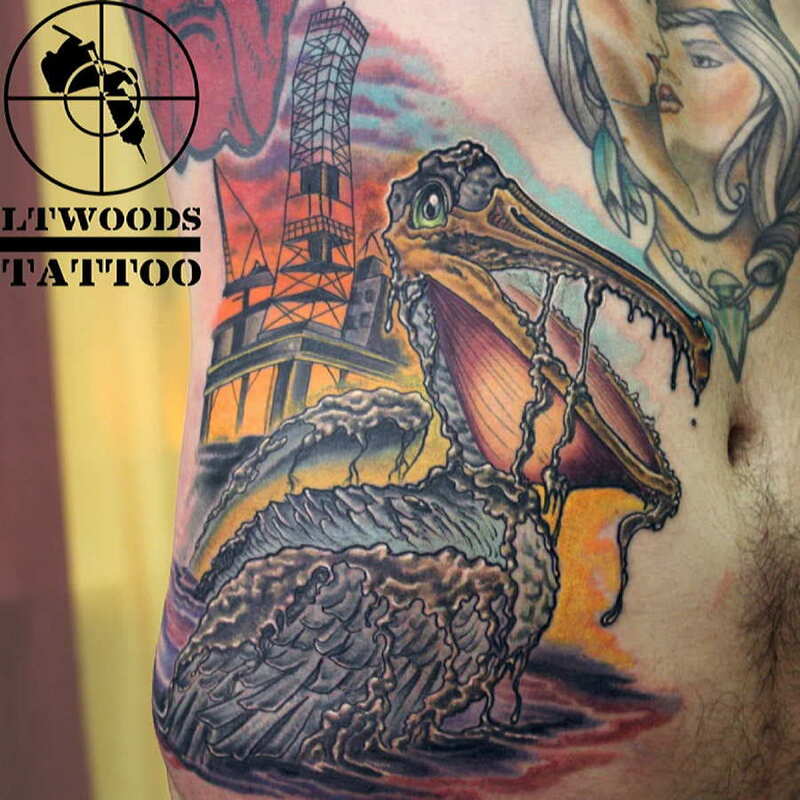 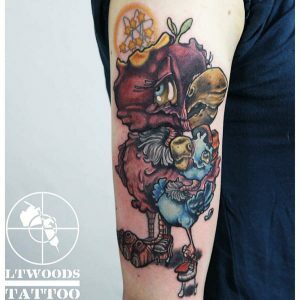 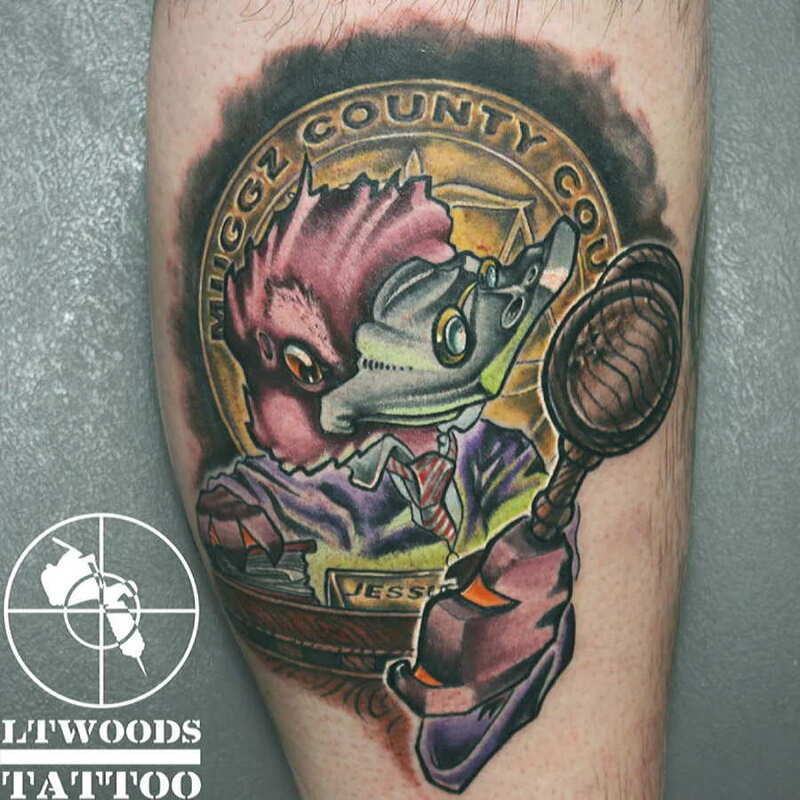 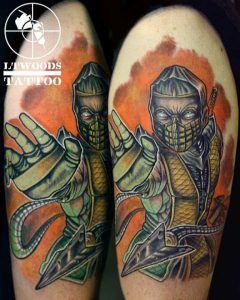 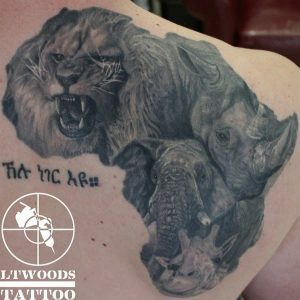 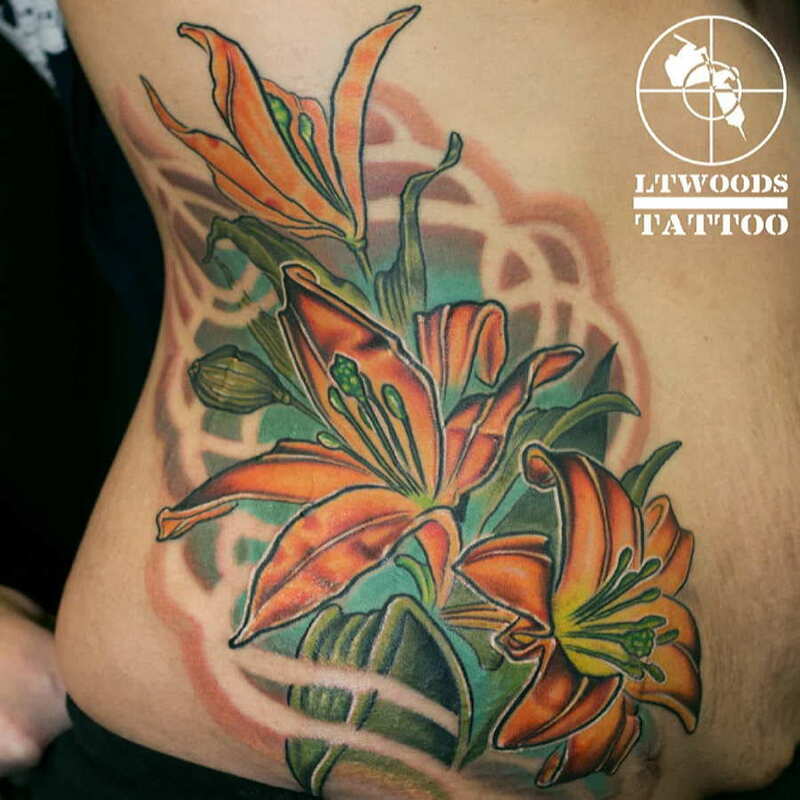 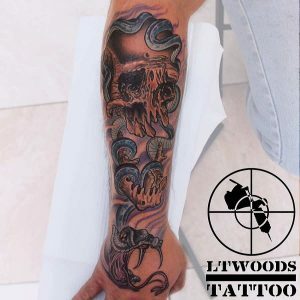 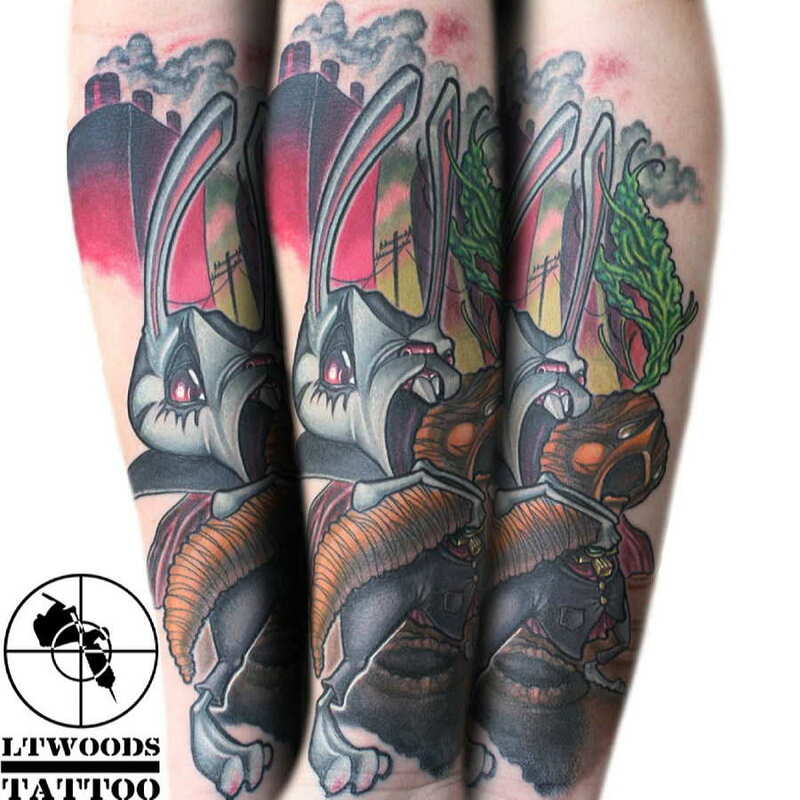 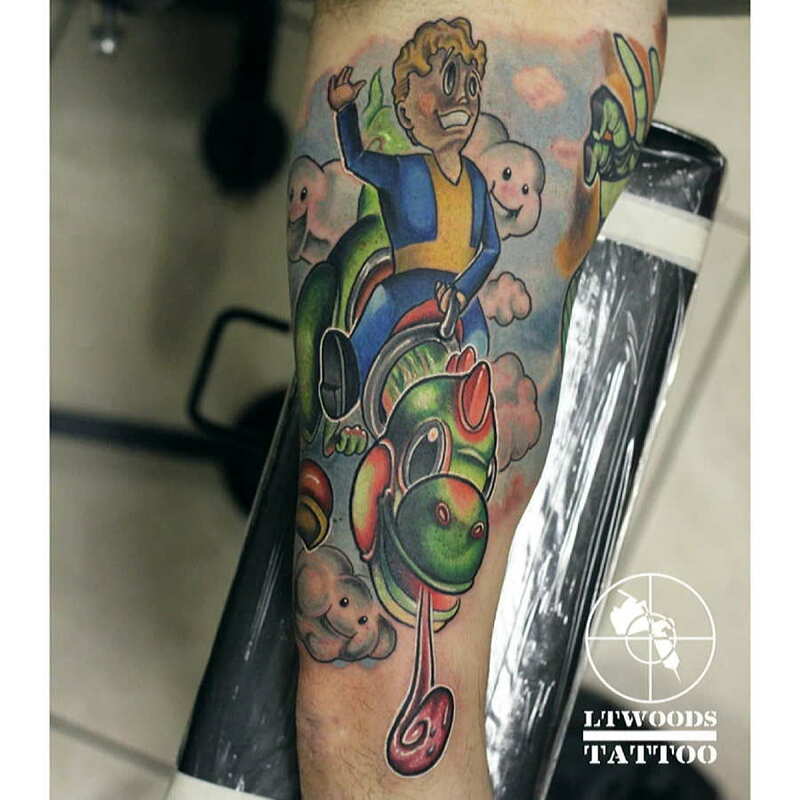 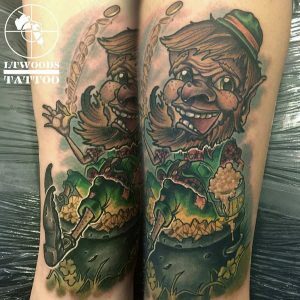 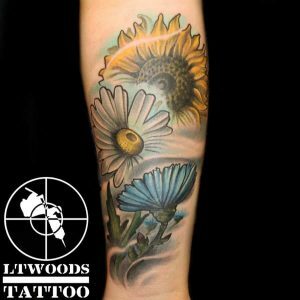 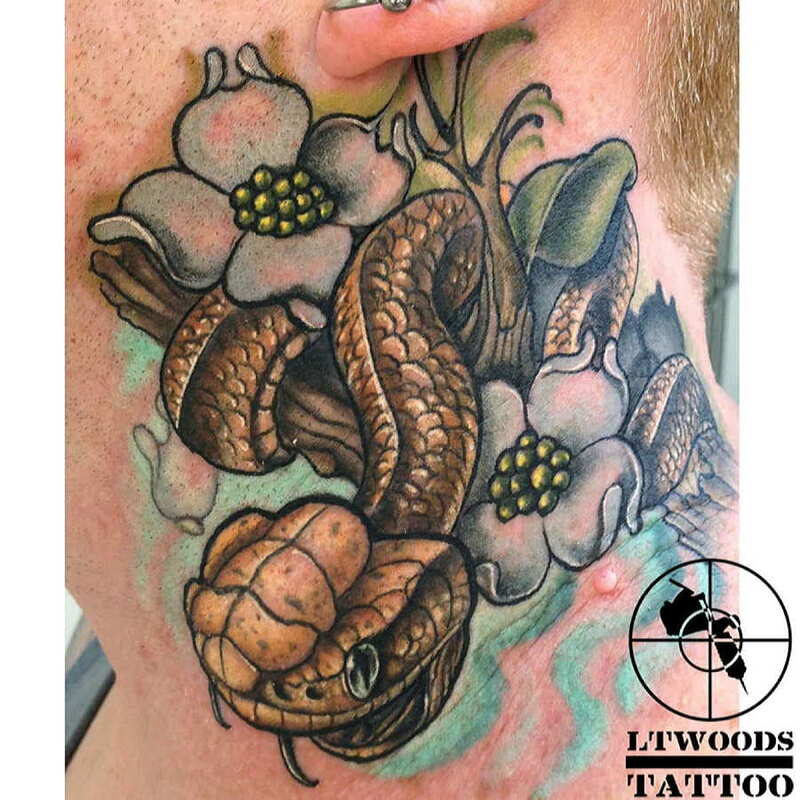 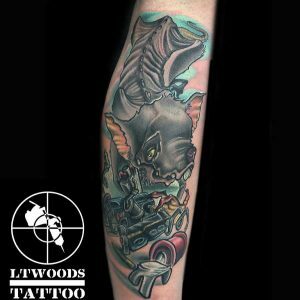 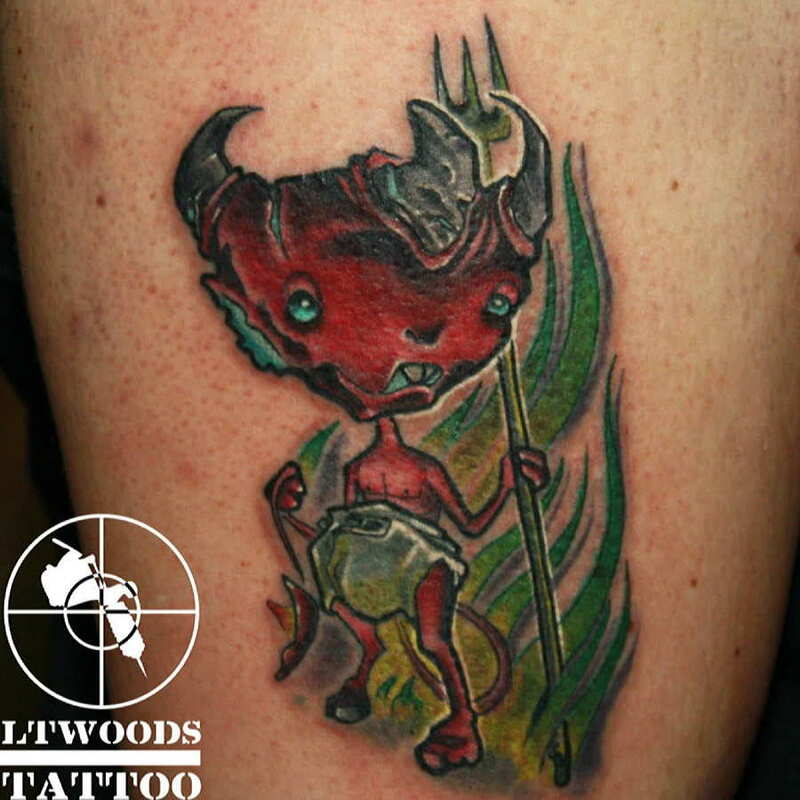 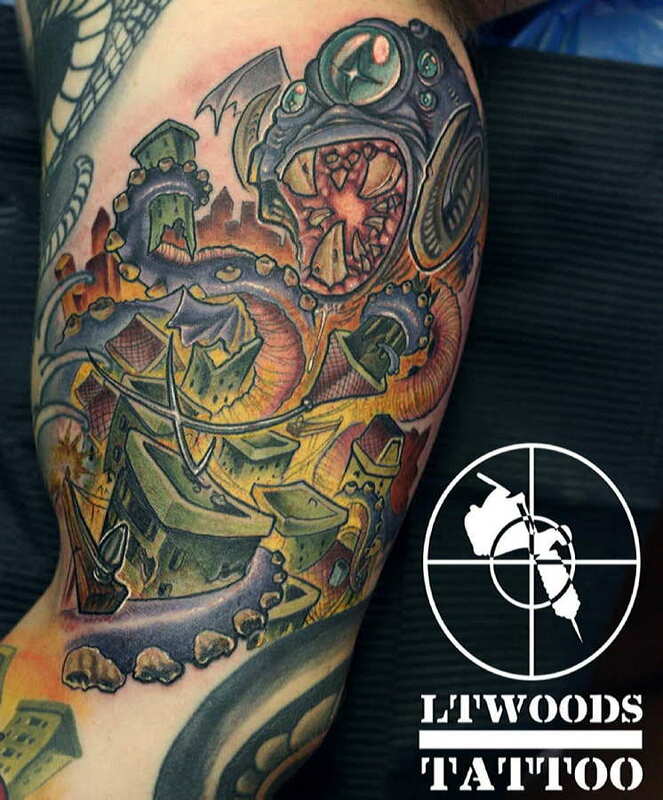 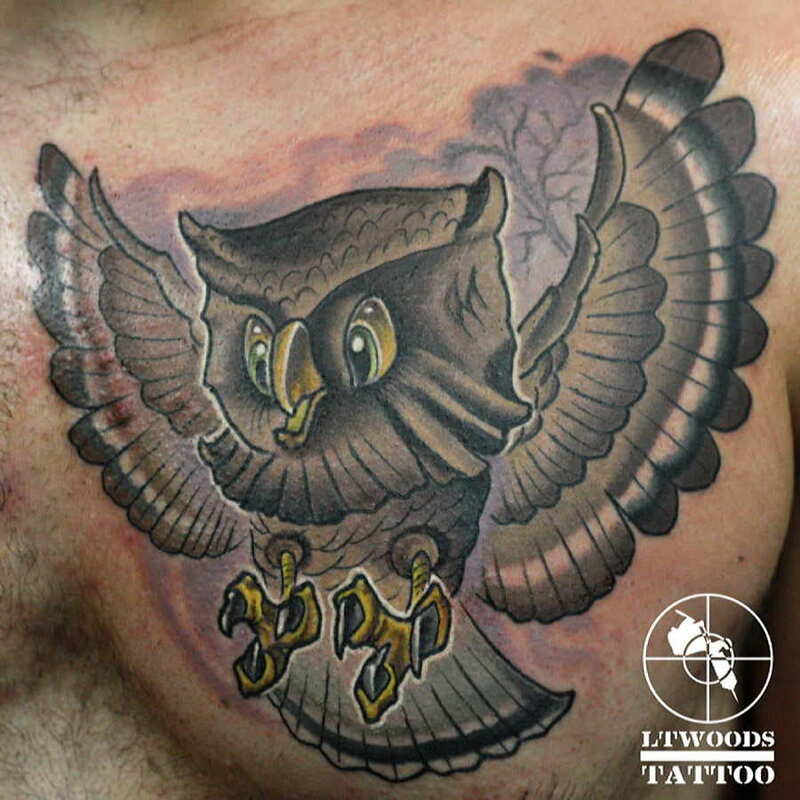 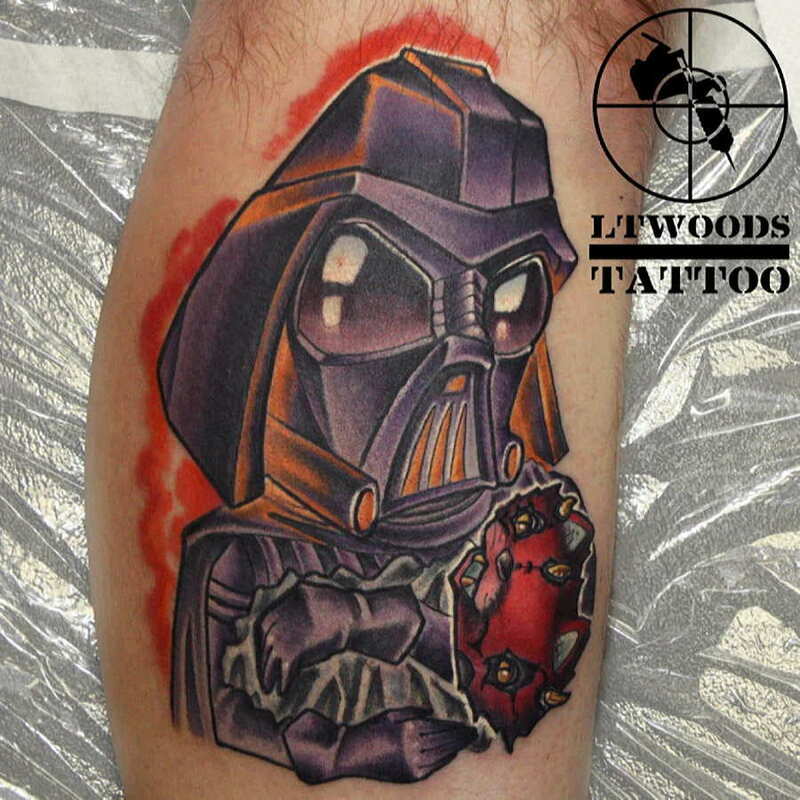 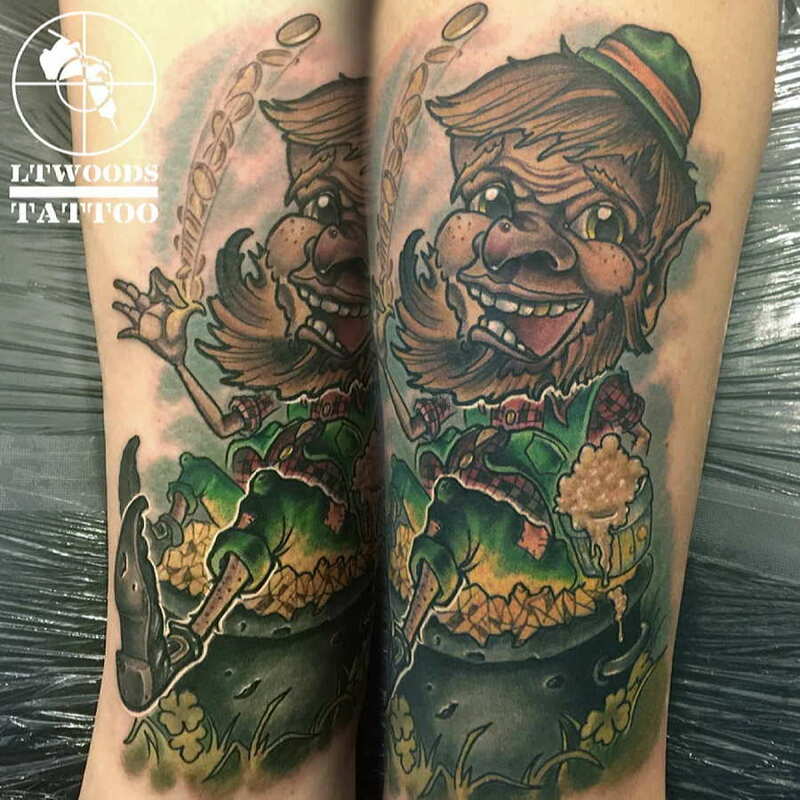 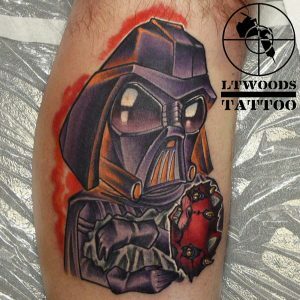 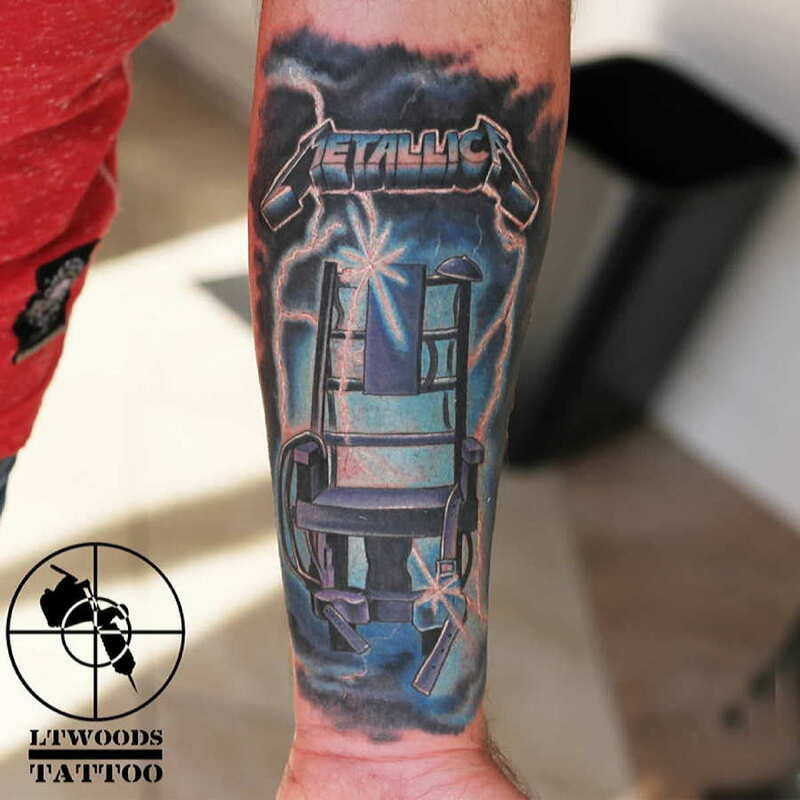 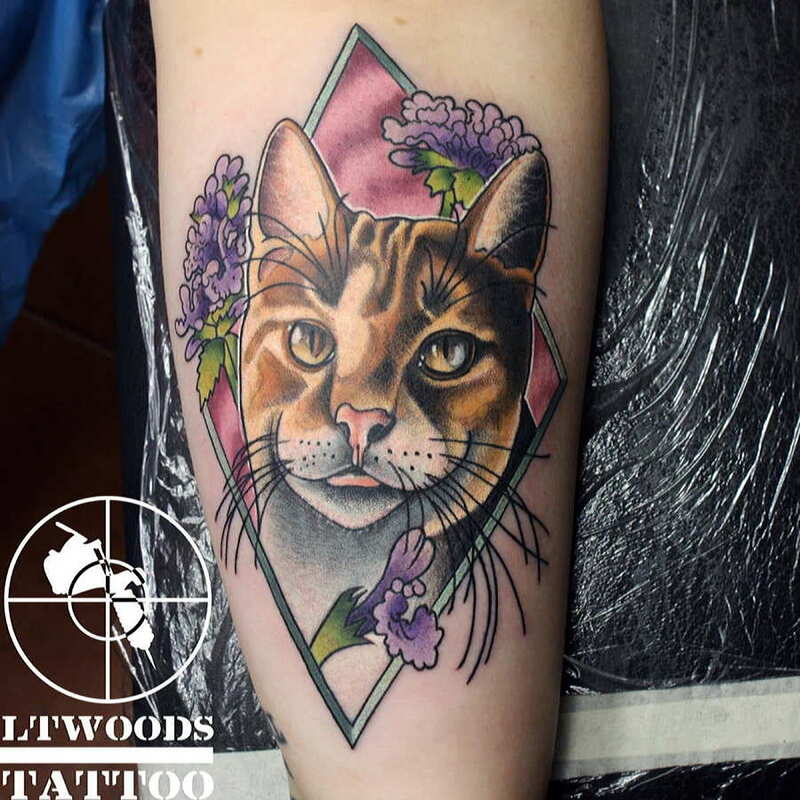 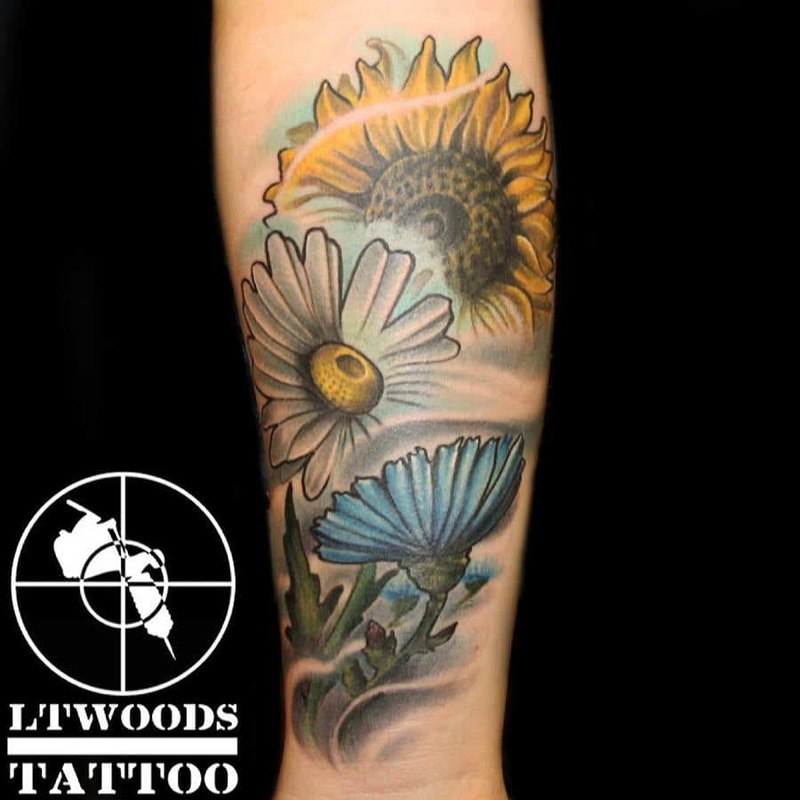 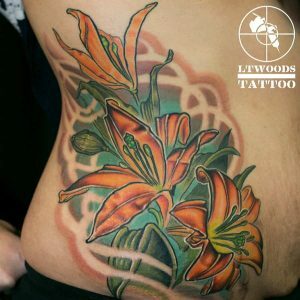 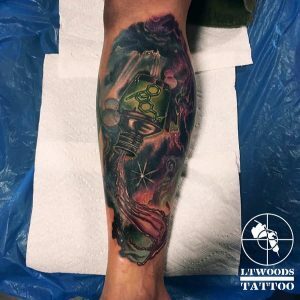 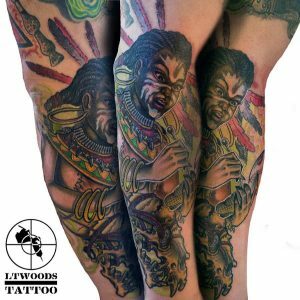 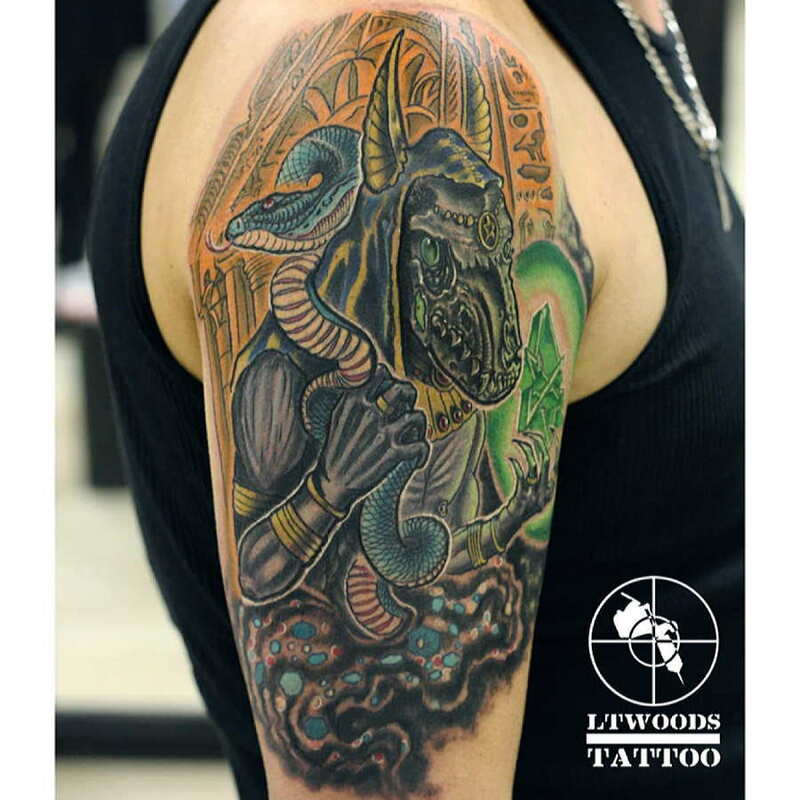 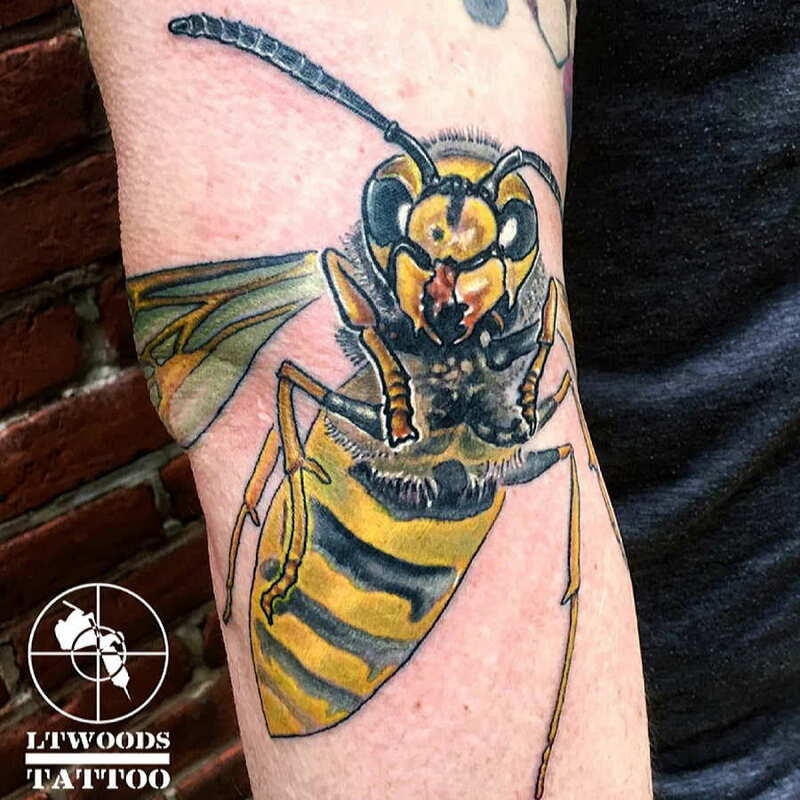 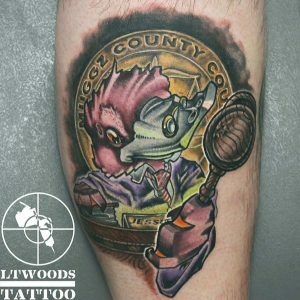 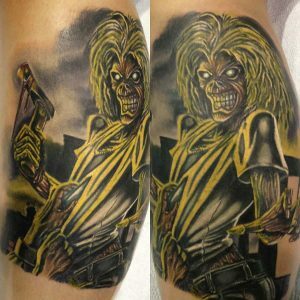 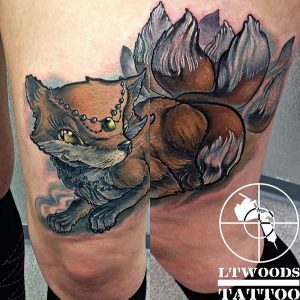 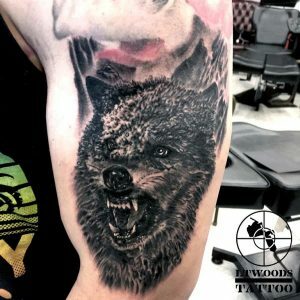 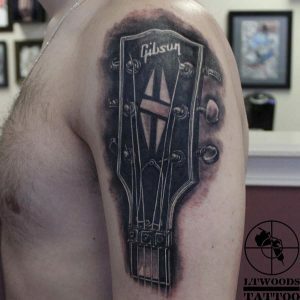 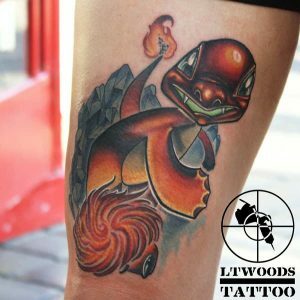 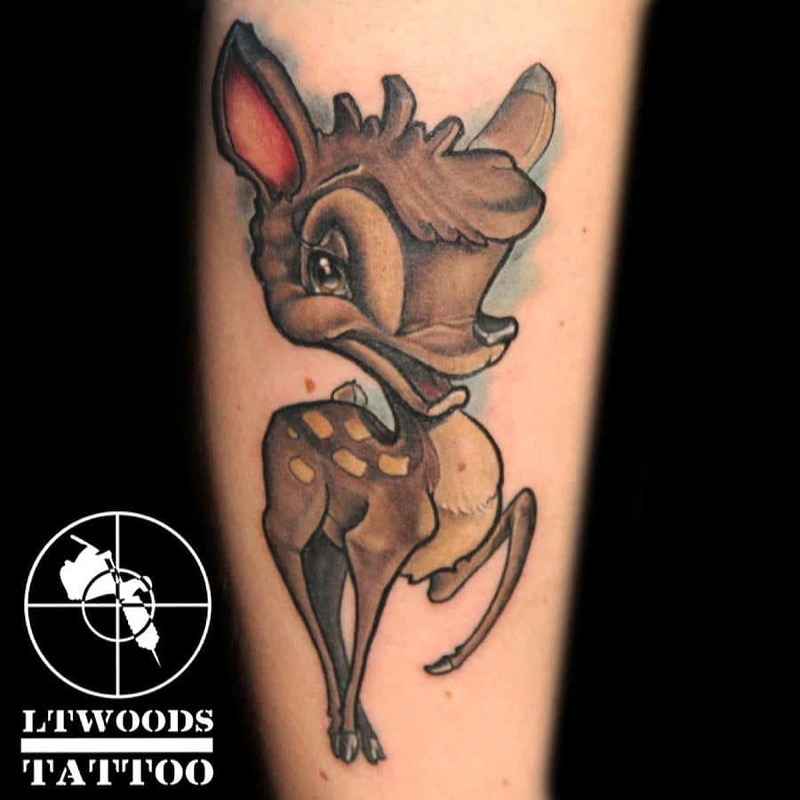 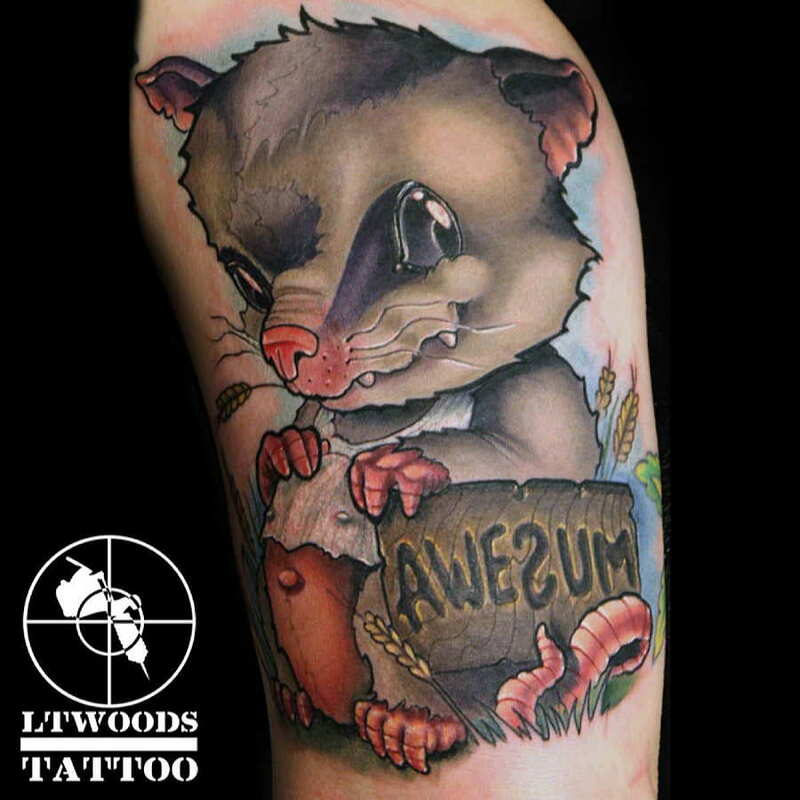 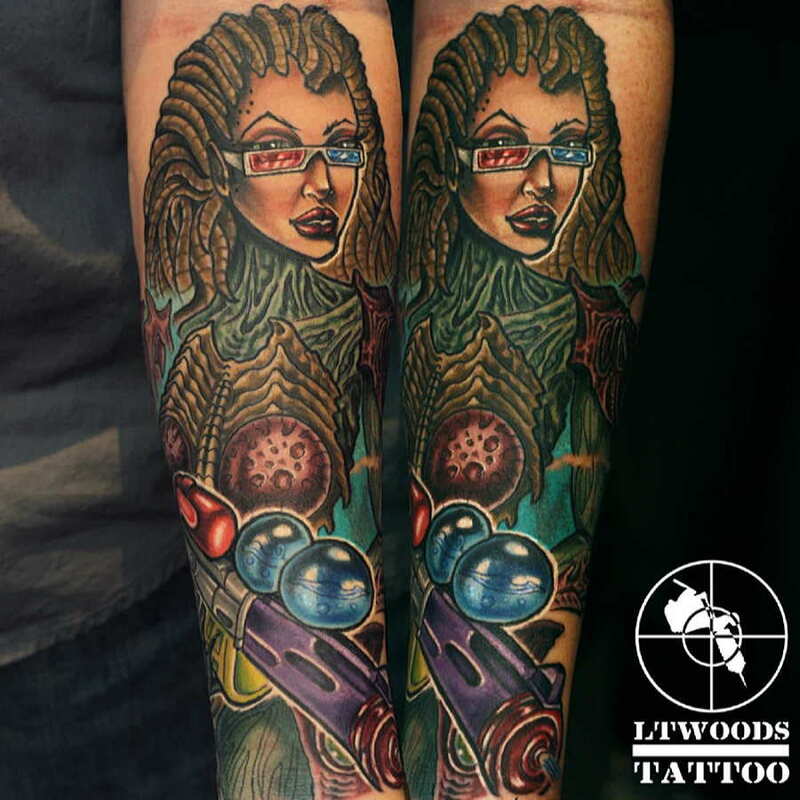 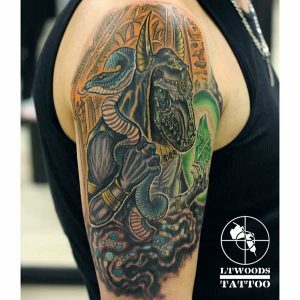 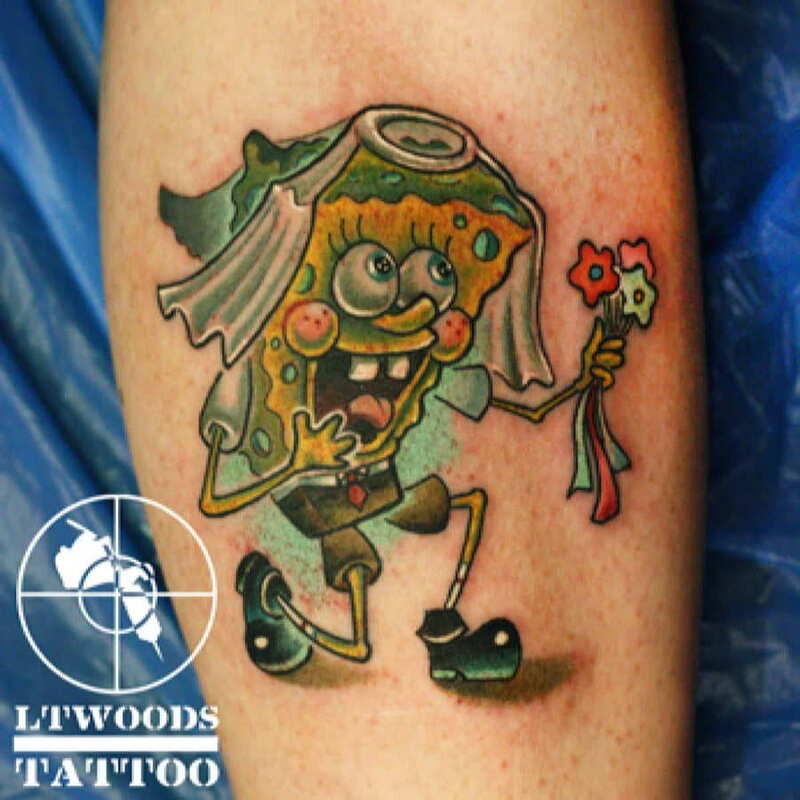 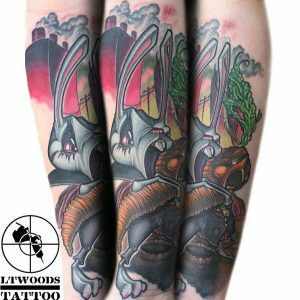 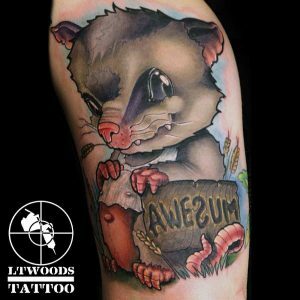 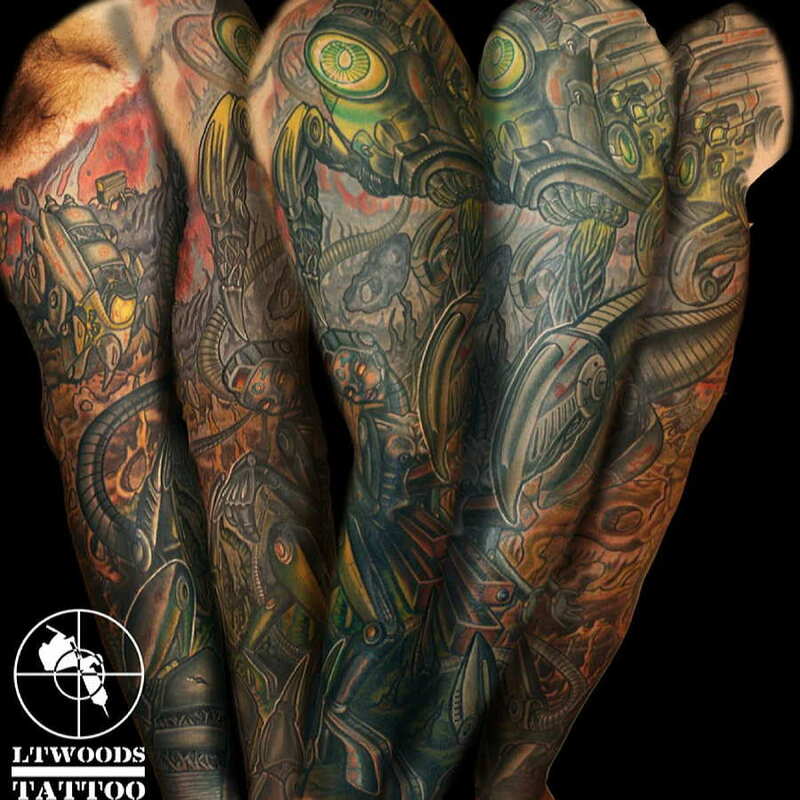 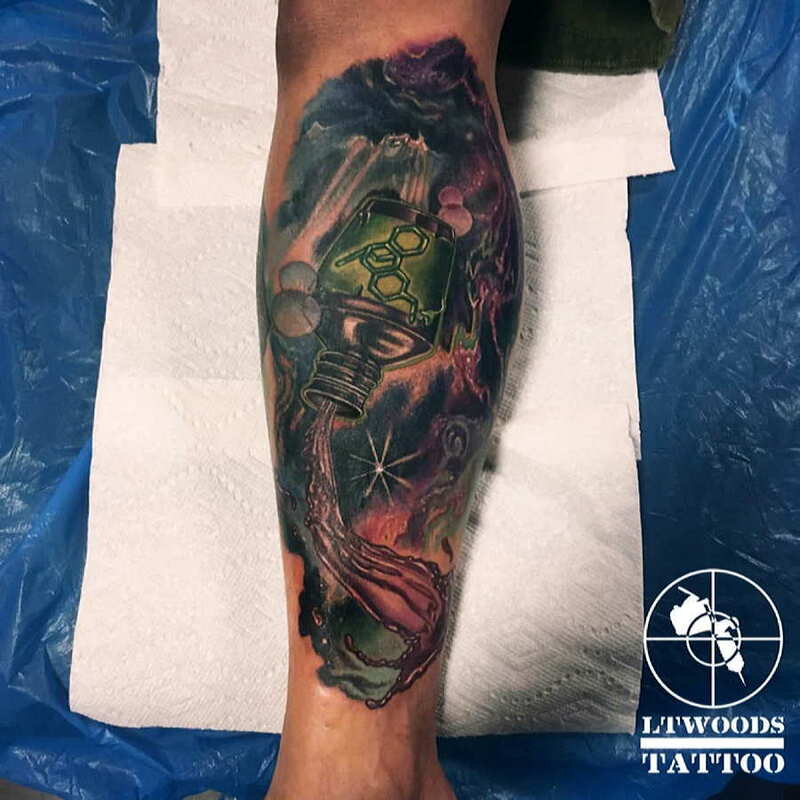 Please enjoy this tattoo portfolio of LT Woods custom tattoos. 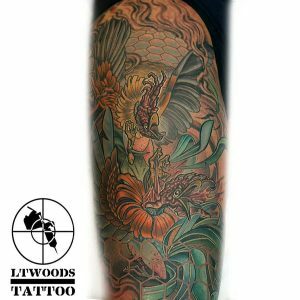 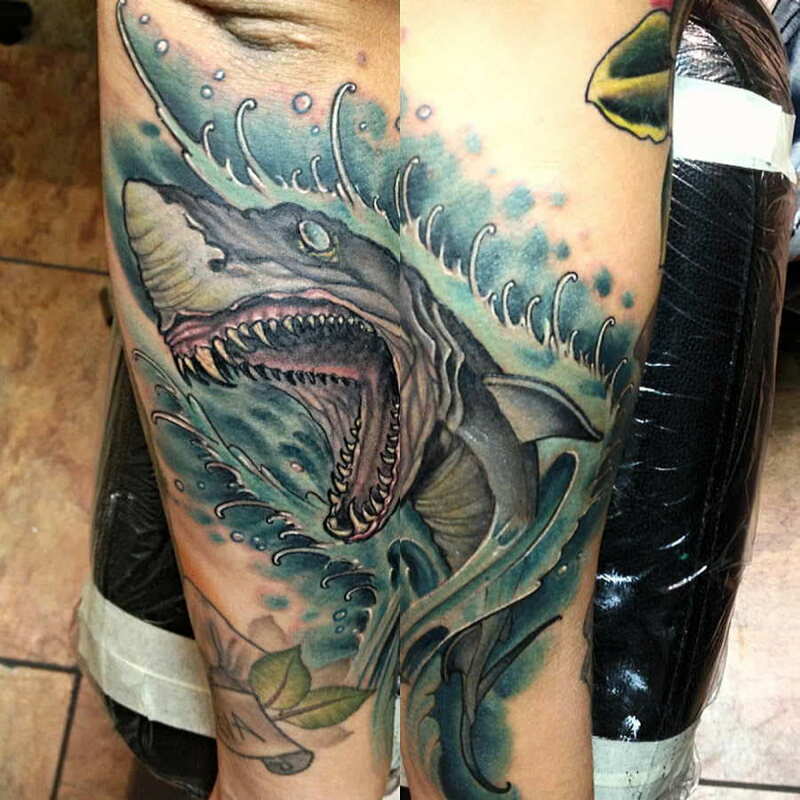 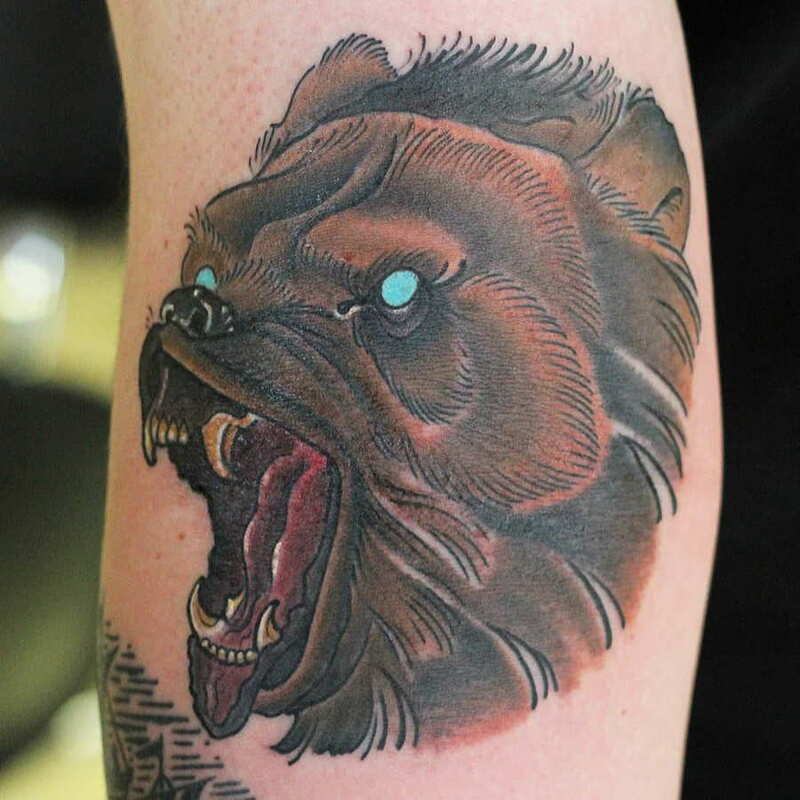 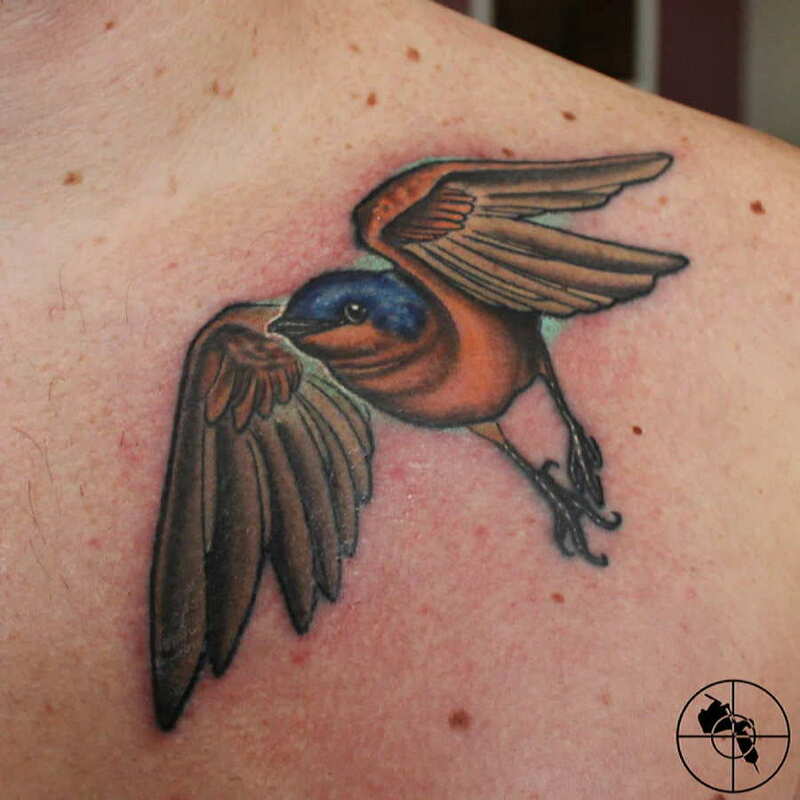 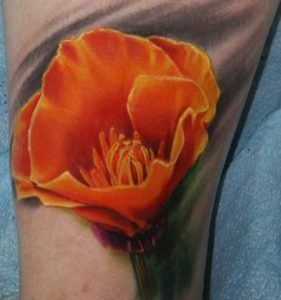 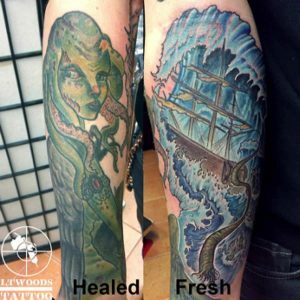 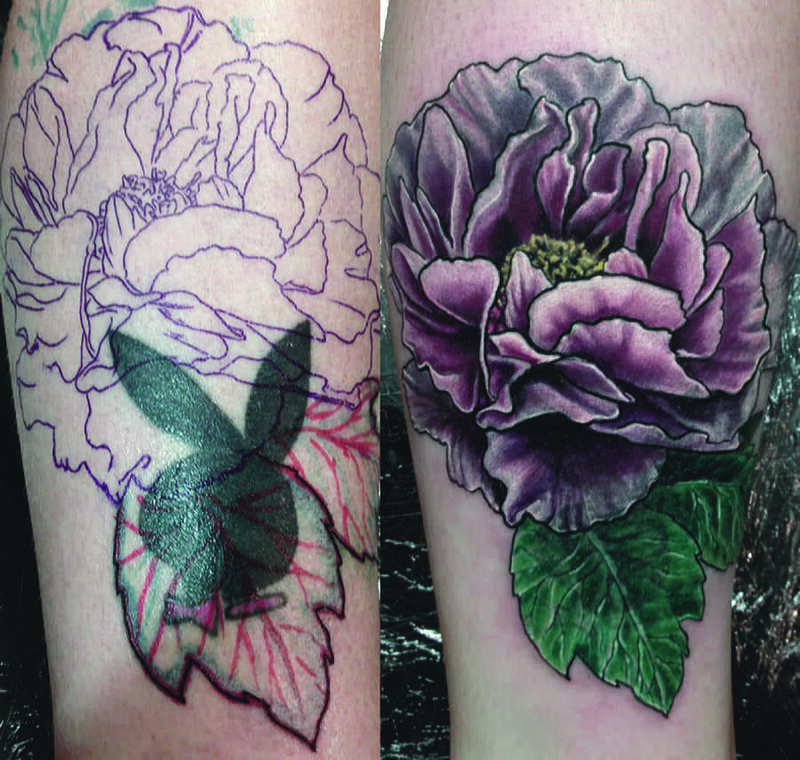 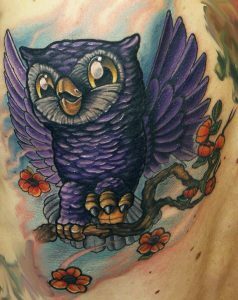 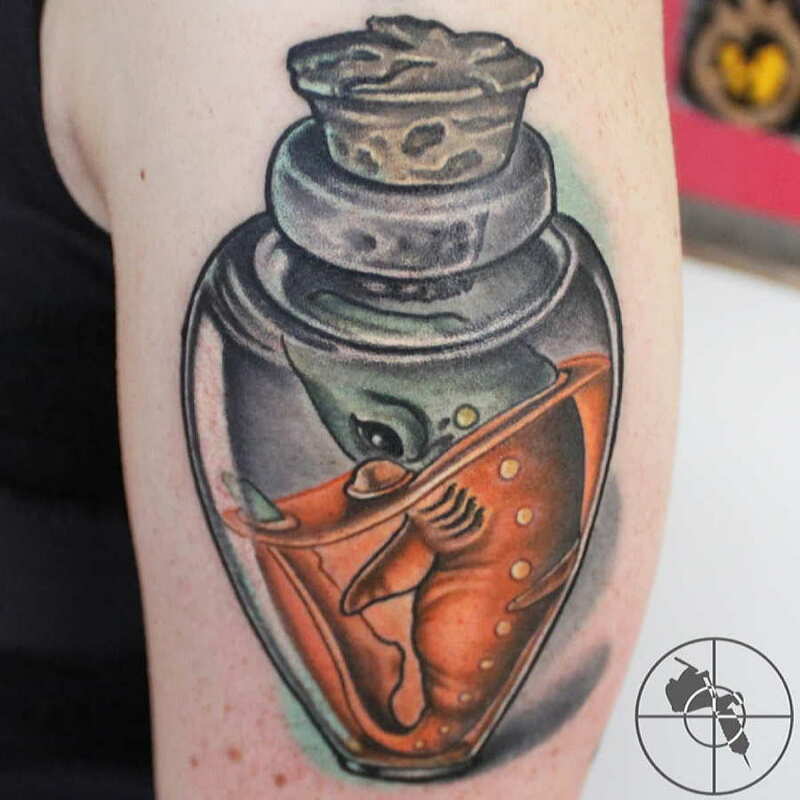 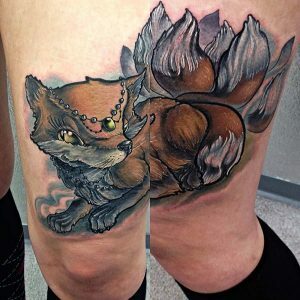 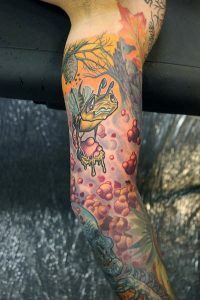 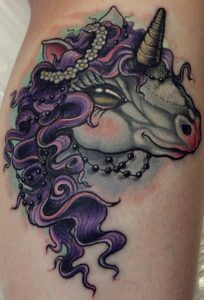 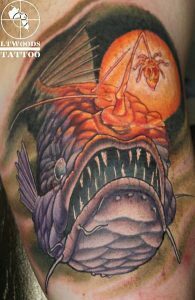 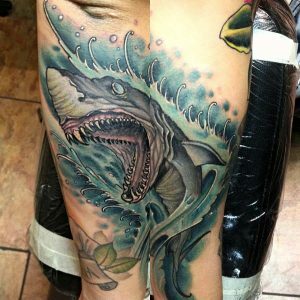 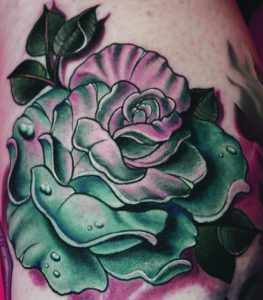 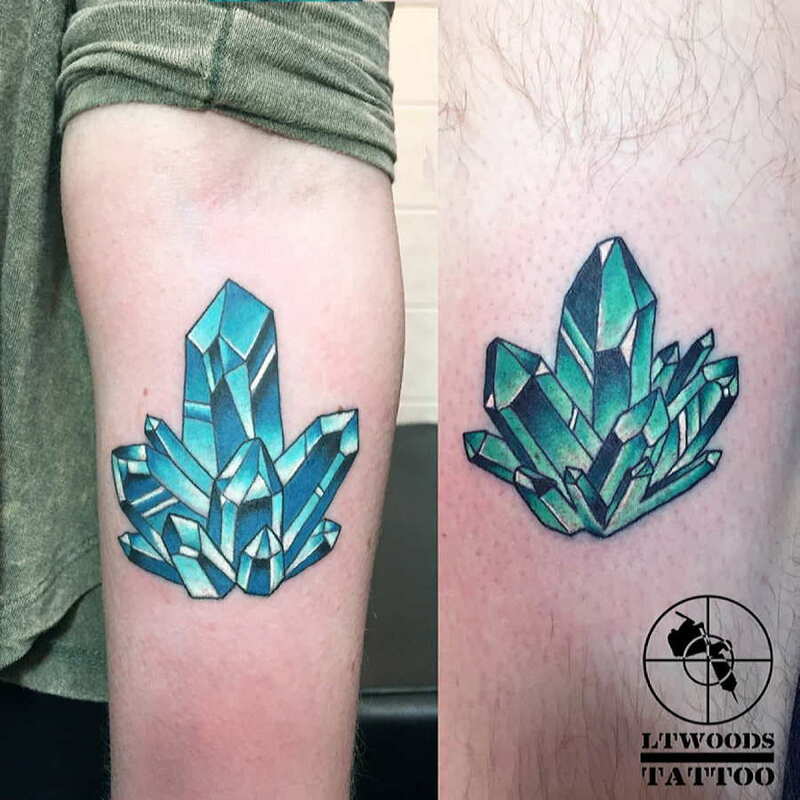 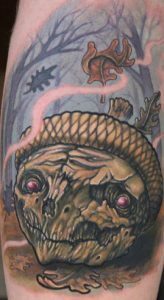 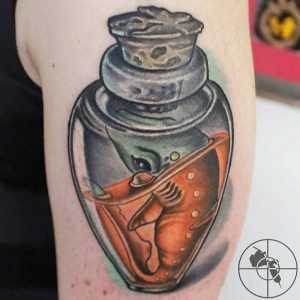 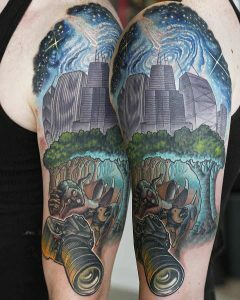 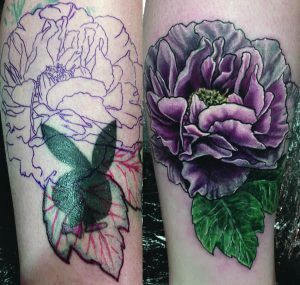 It showcases many new school tattoos and other variety of tattoo styles I’ve finished on my clients over the last several years. 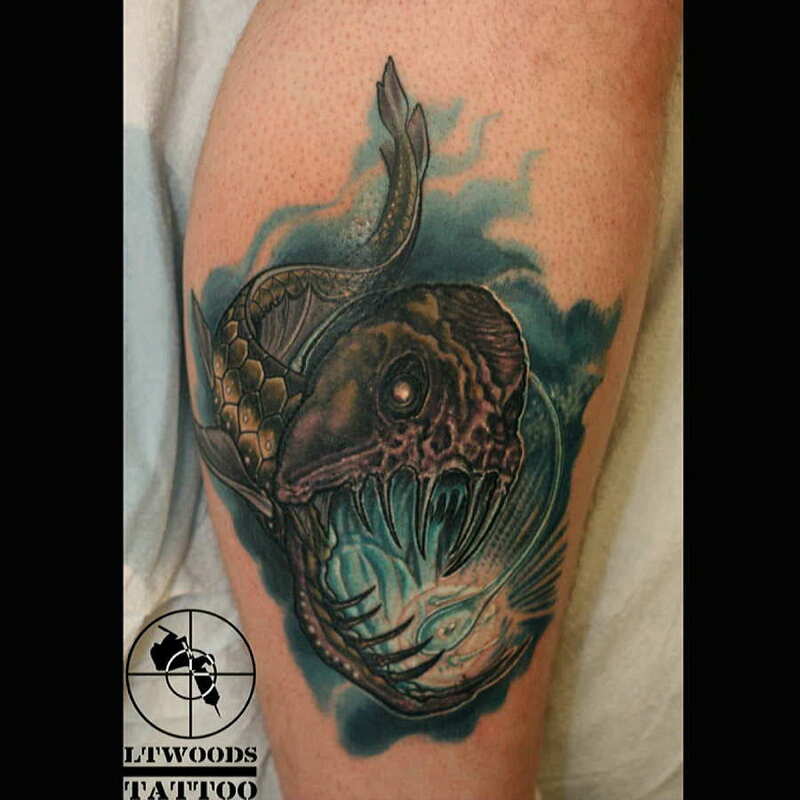 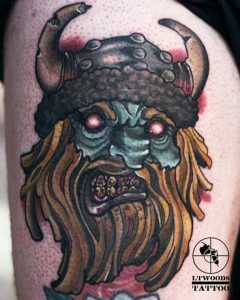 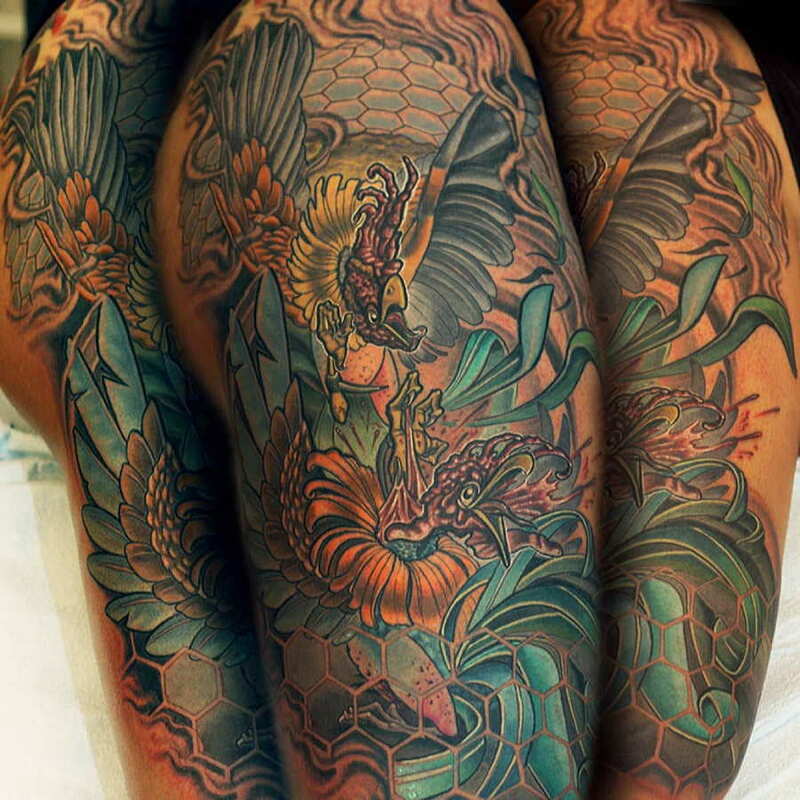 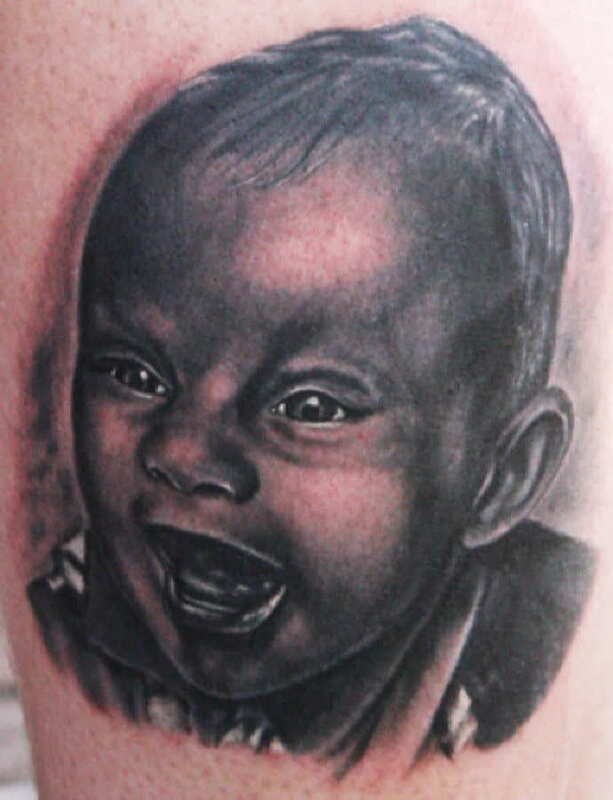 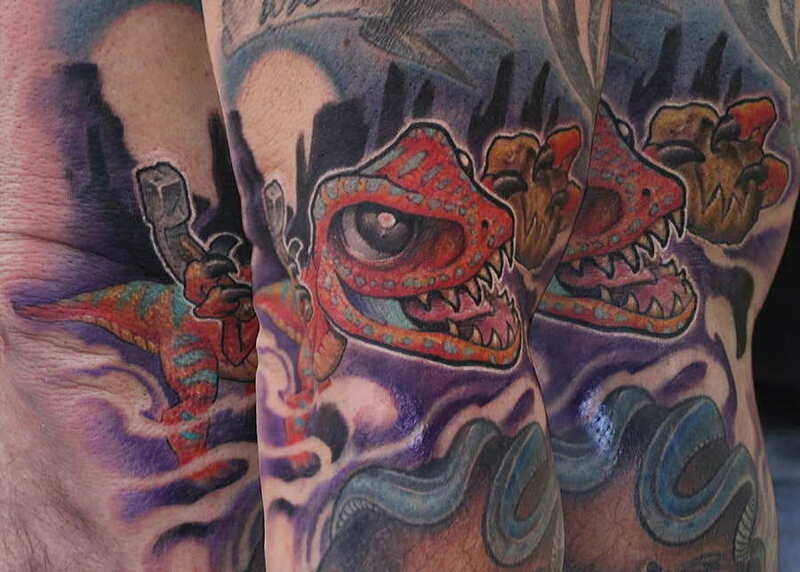 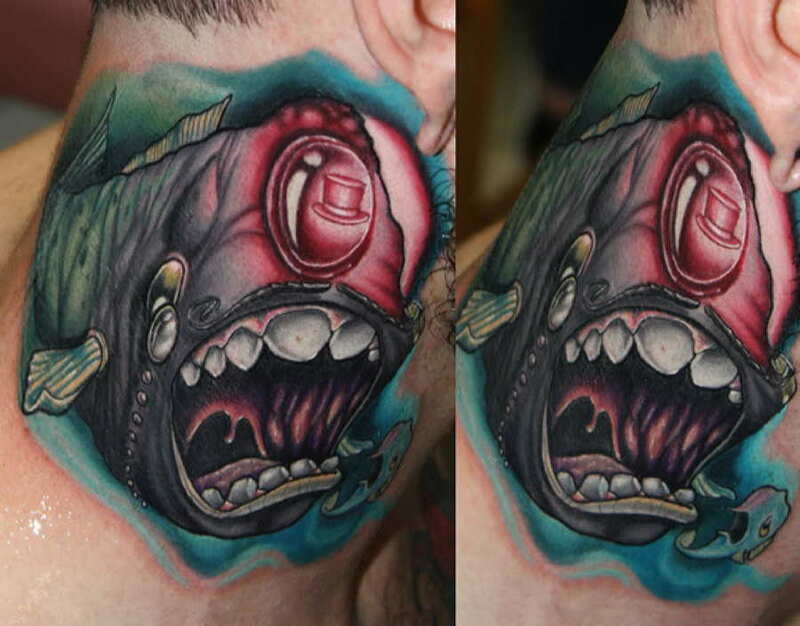 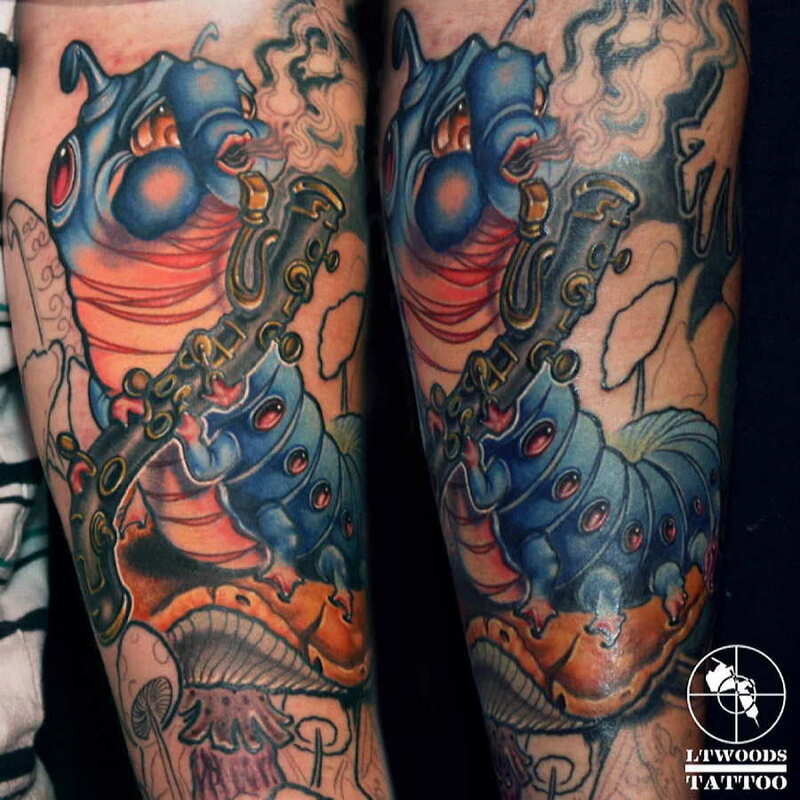 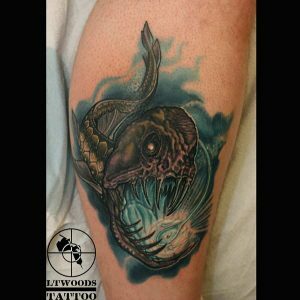 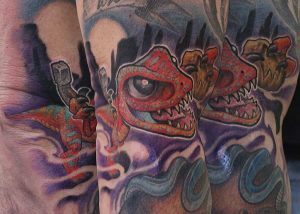 I’ve been tattooing professionally for 16 years and have worked at some of the most illustrious shops in the world.